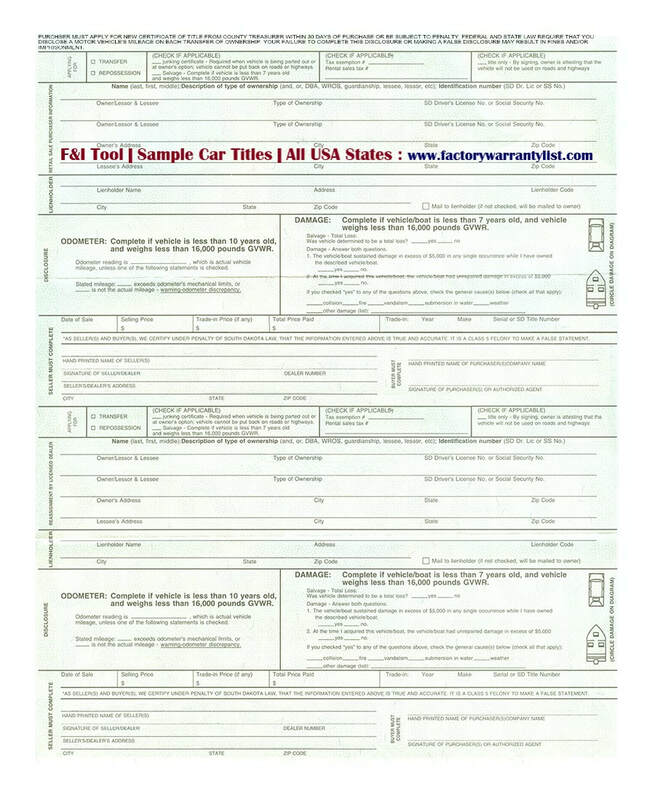 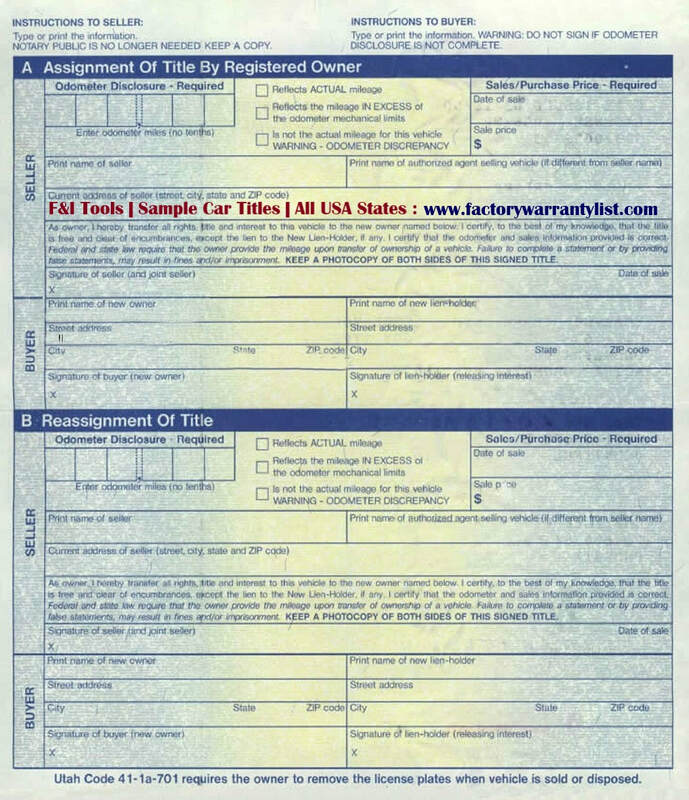 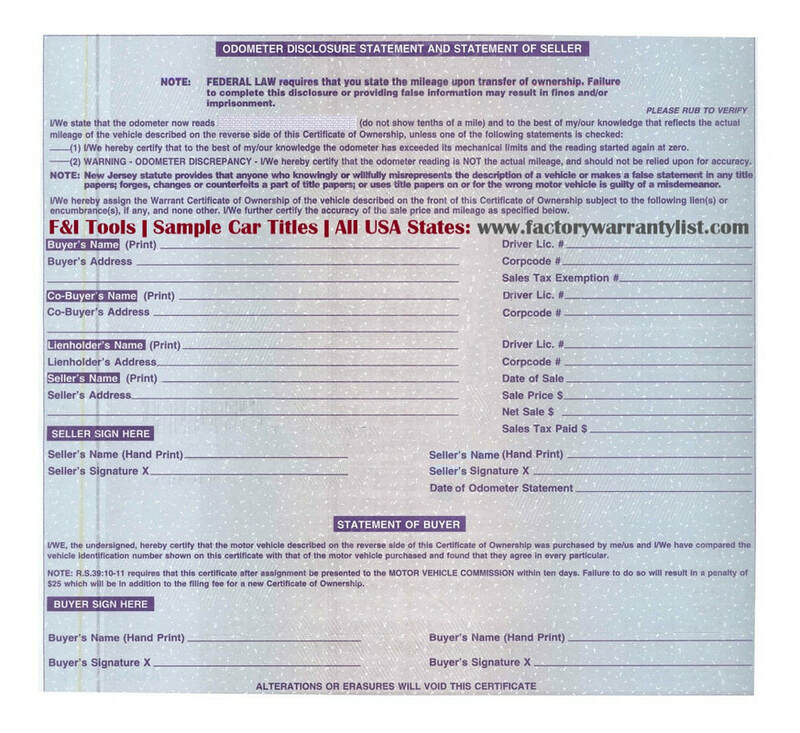 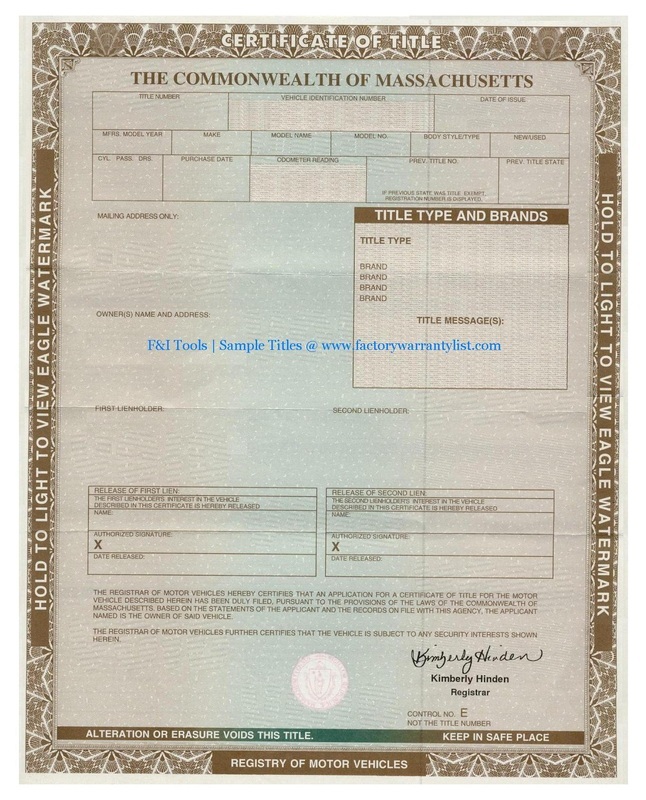 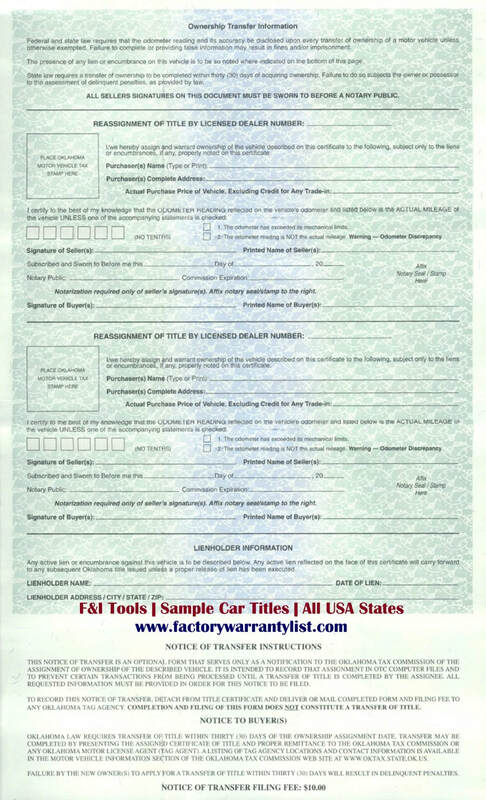 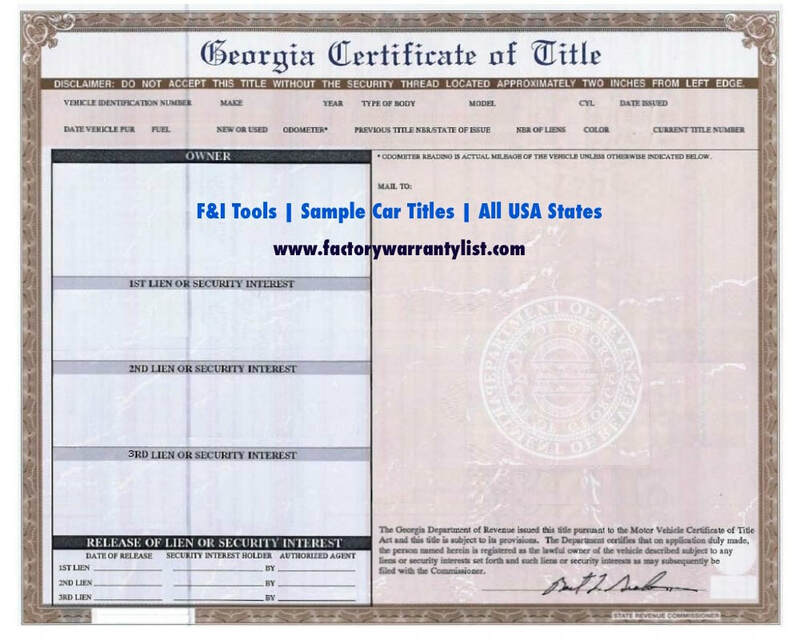 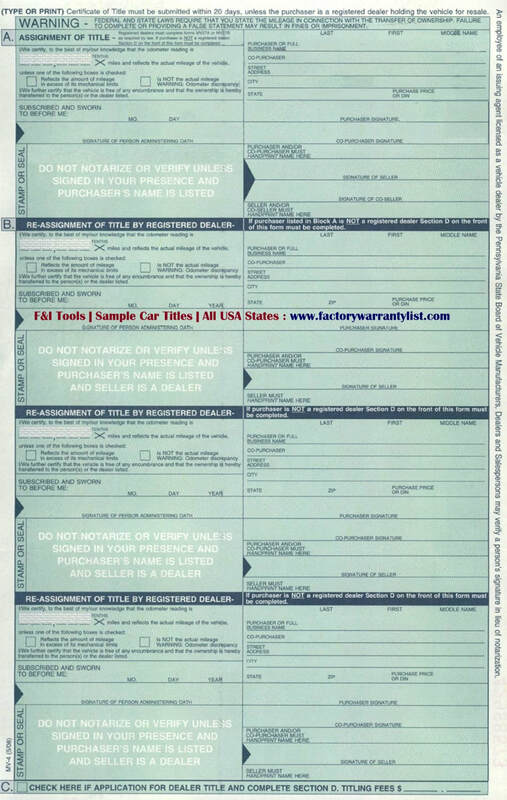 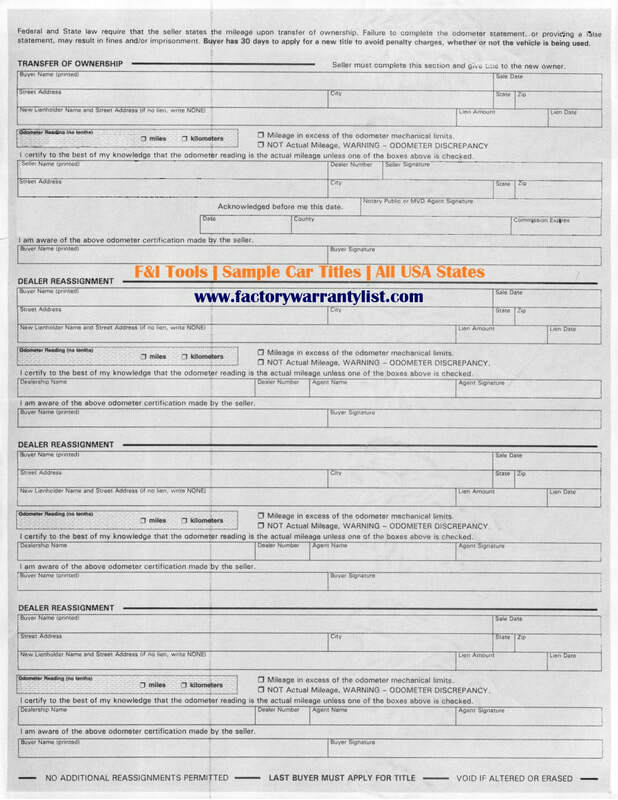 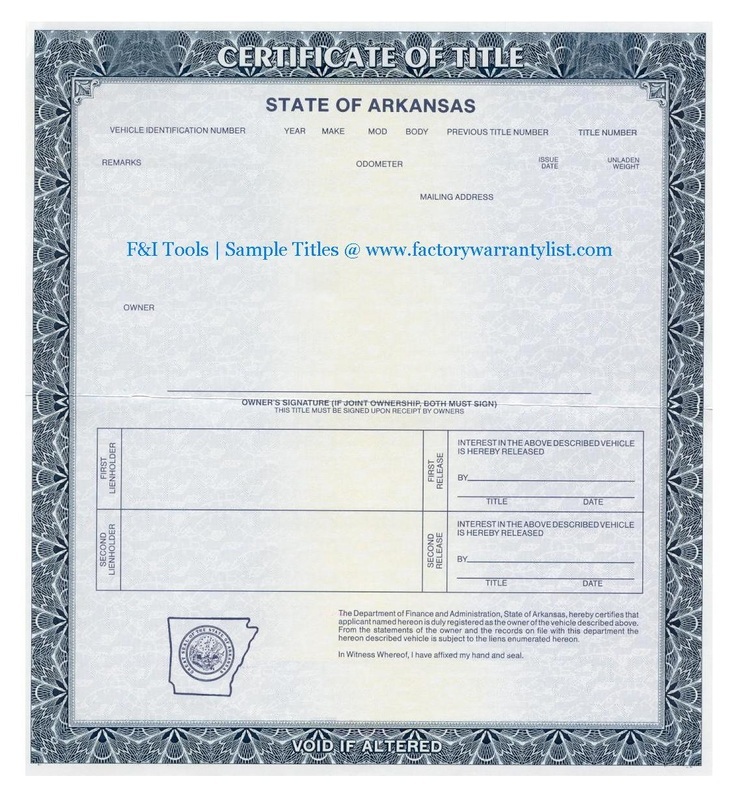 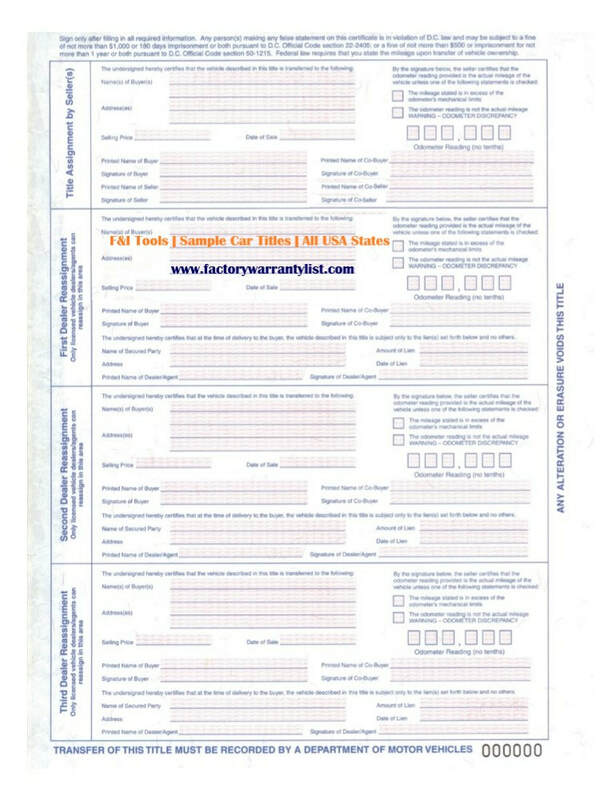 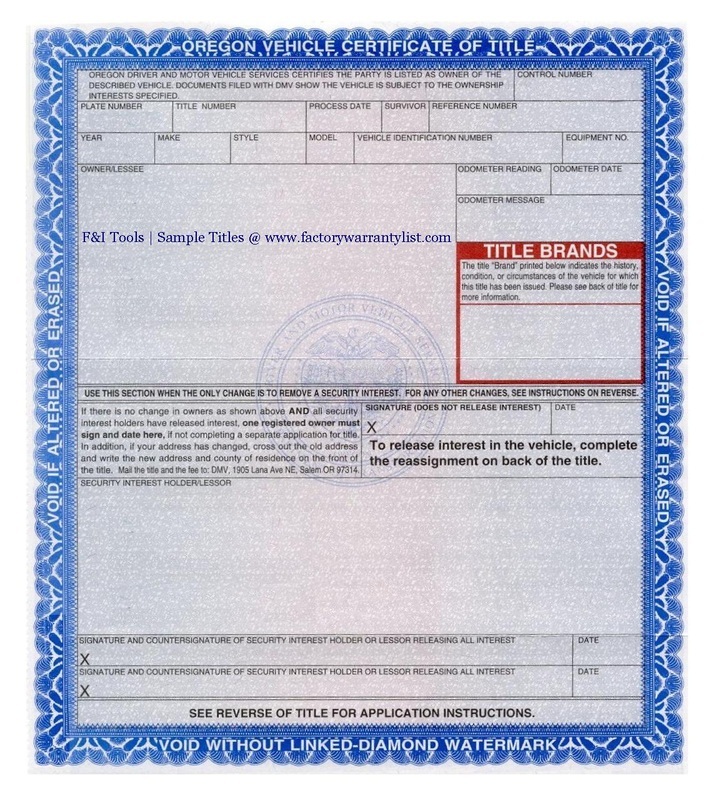 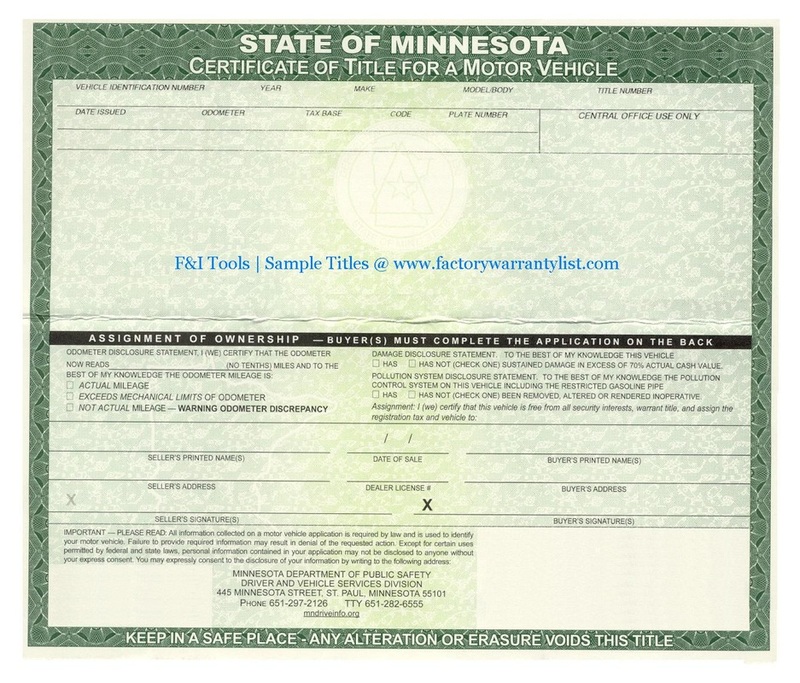 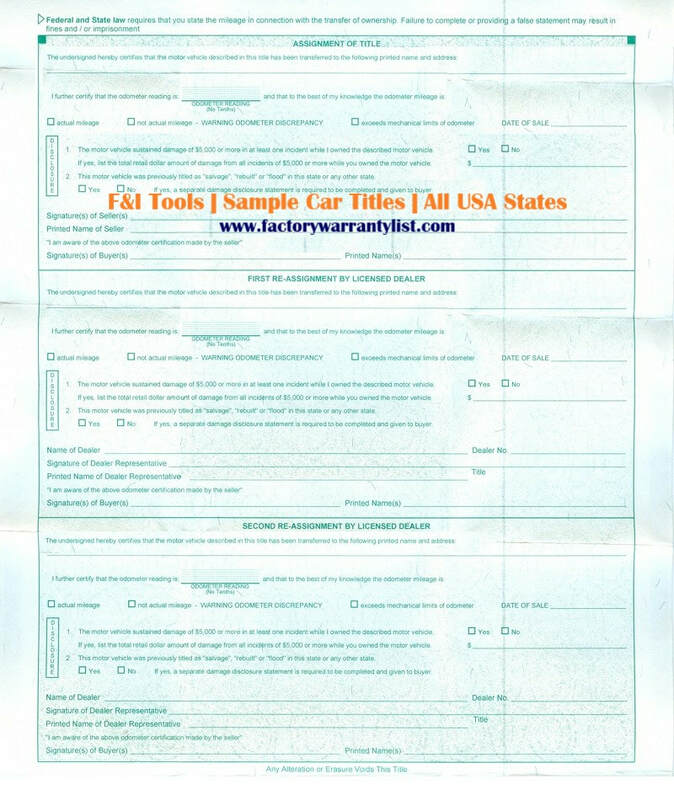 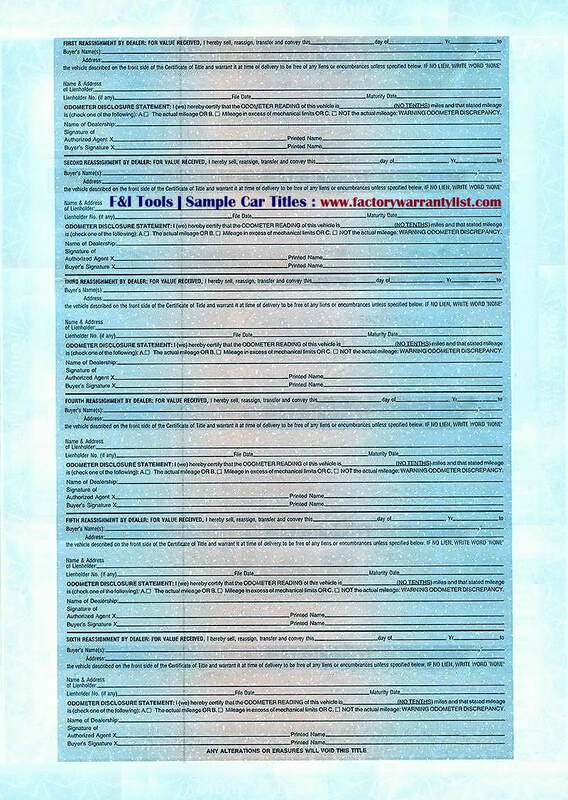 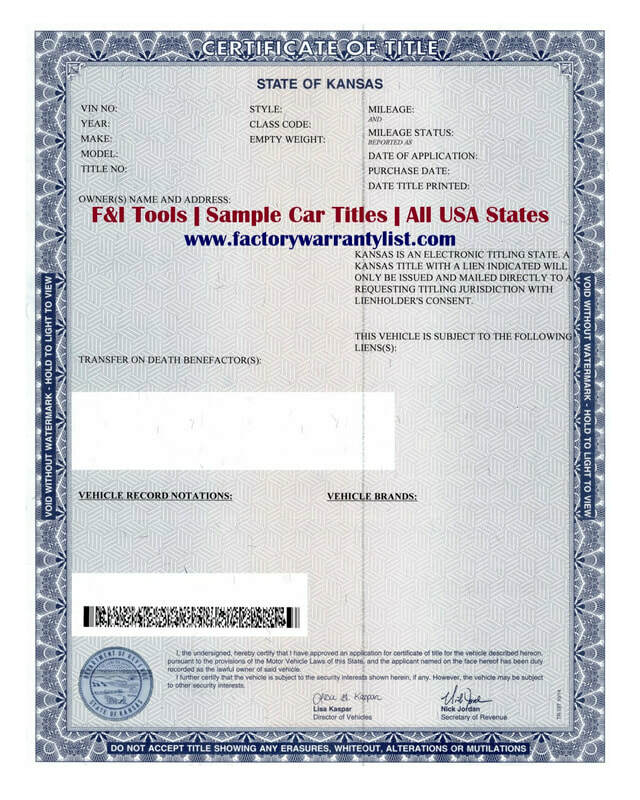 My Vehicle Title - What does a car title look like? 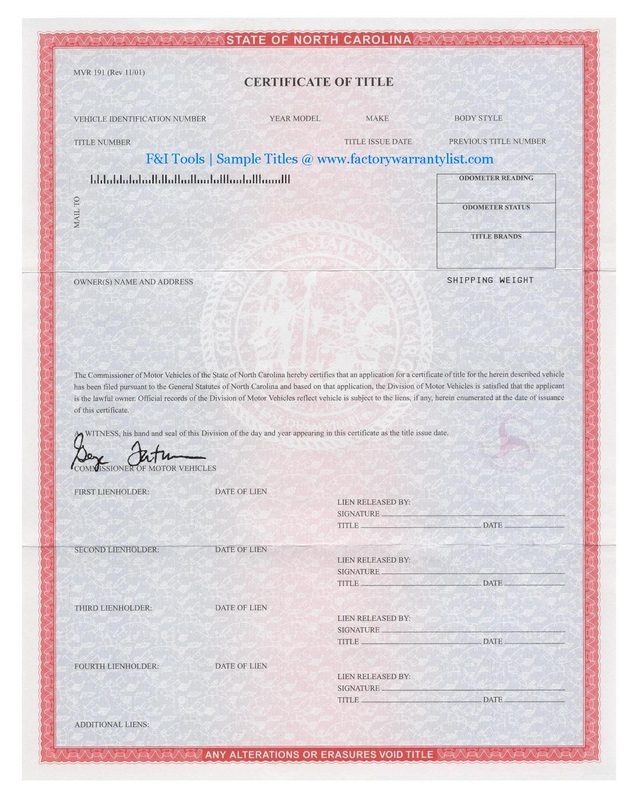 Proof you own it! 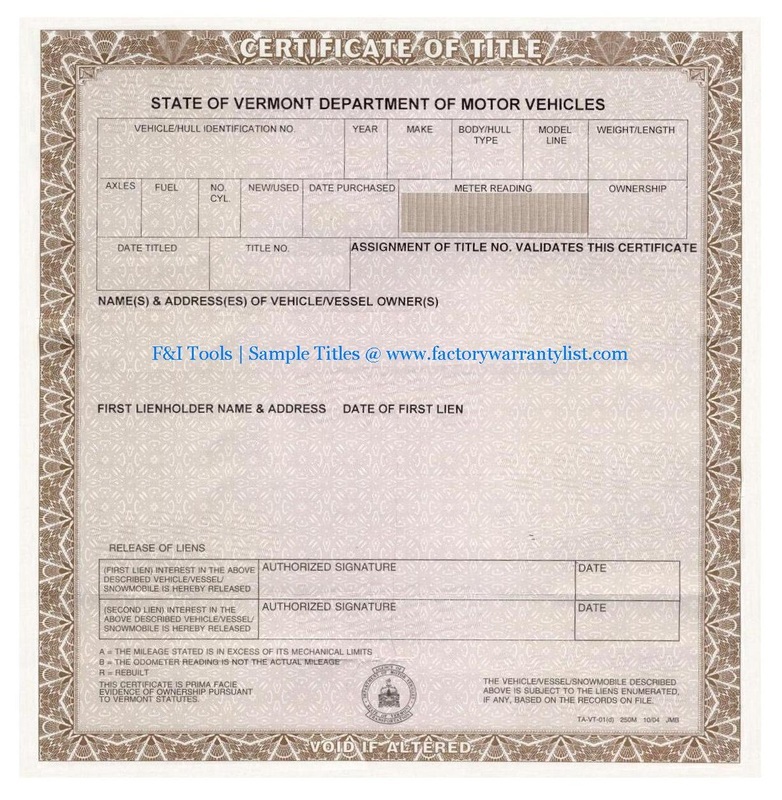 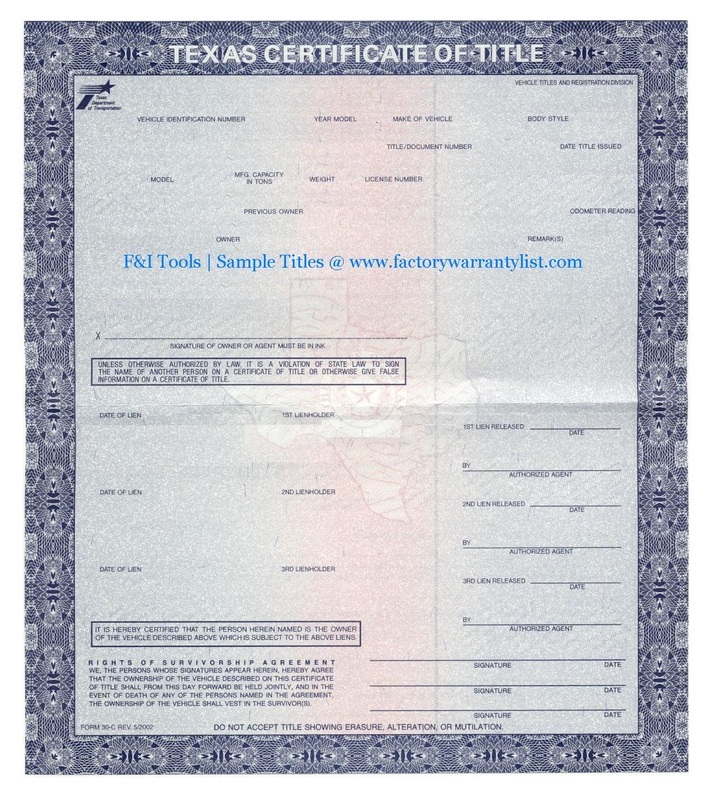 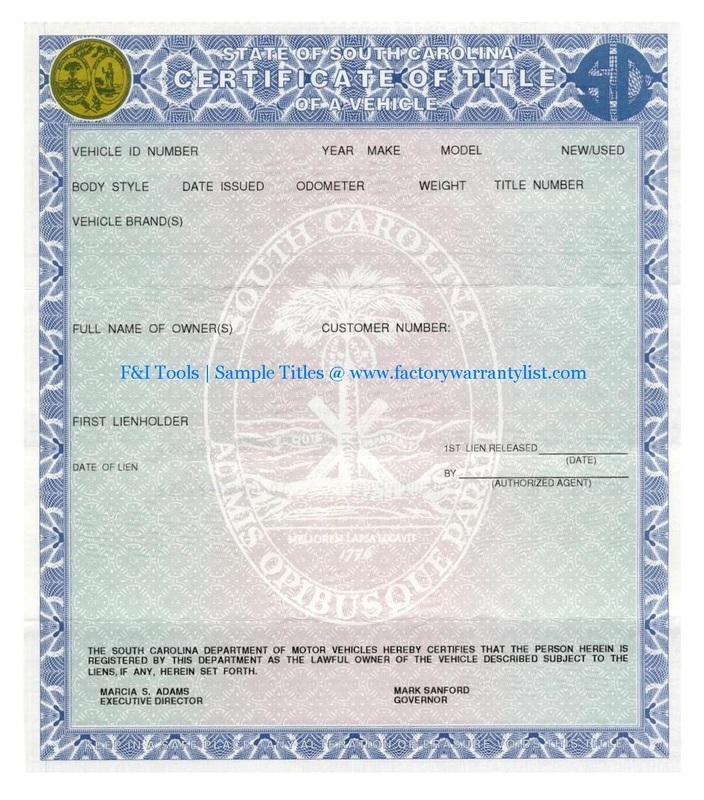 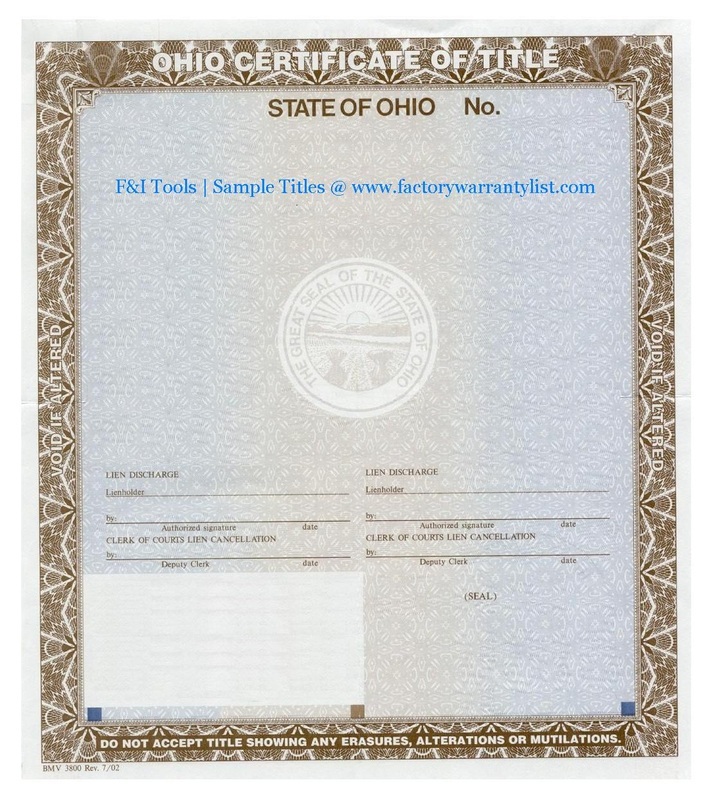 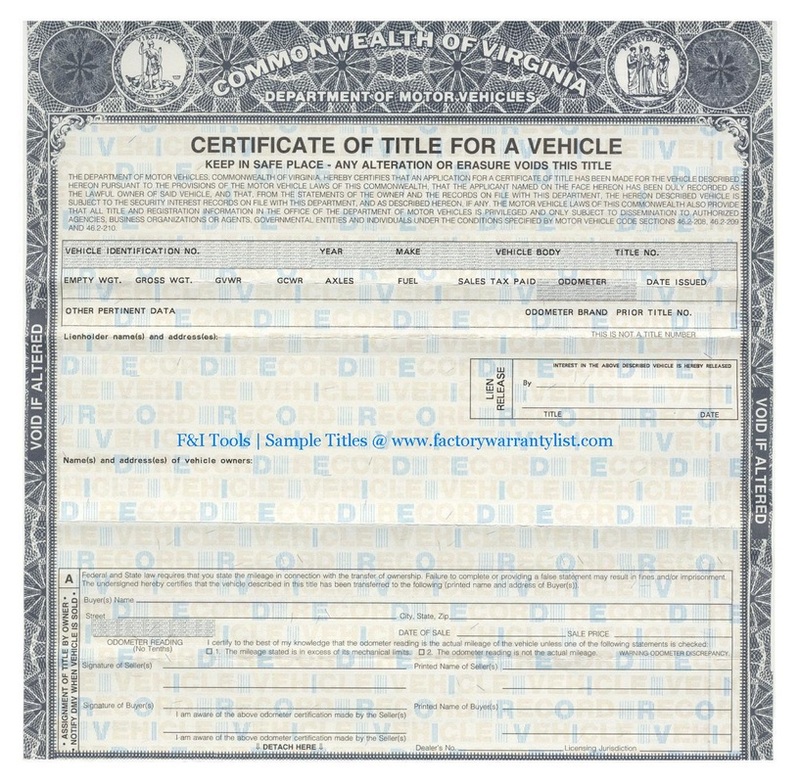 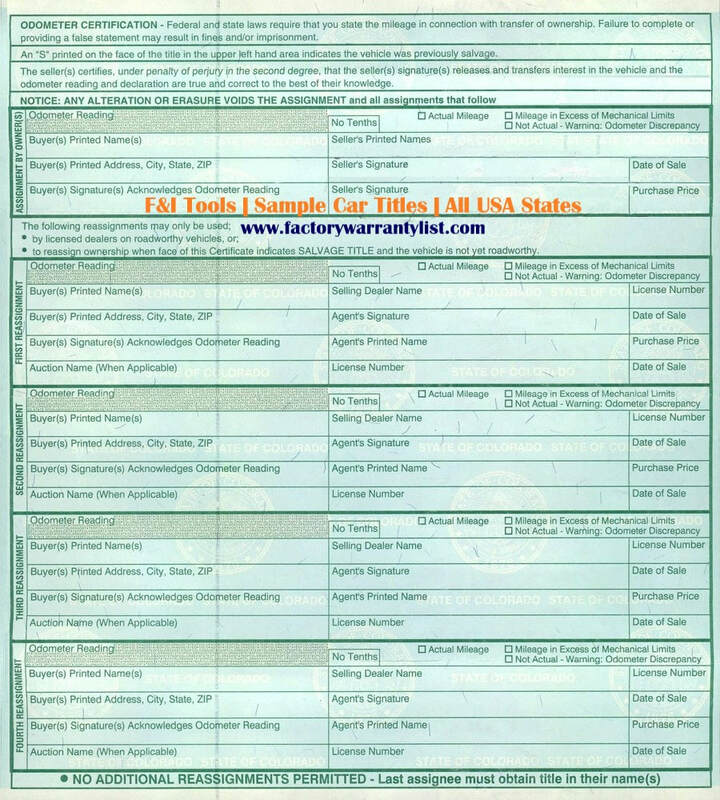 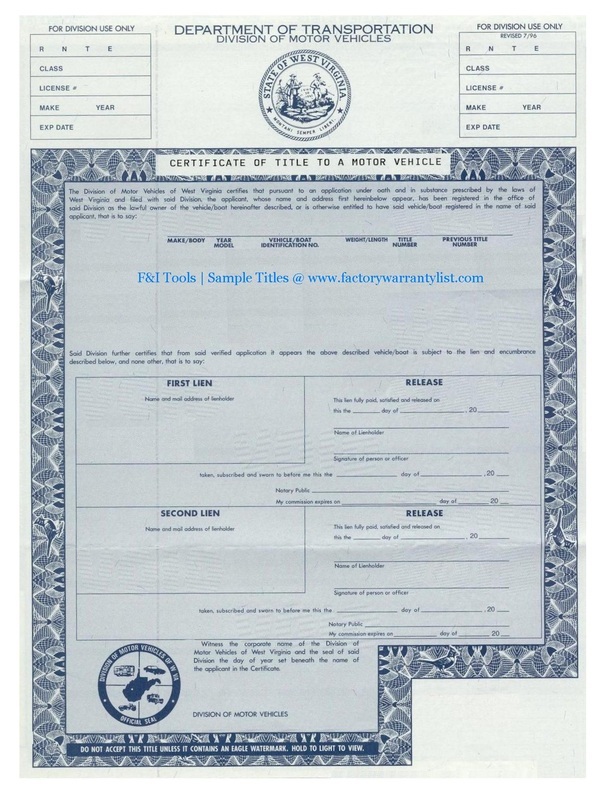 A vehicle title is a certificate of ownership that is processed by the department of motor vehicles and provided to the owner once a vehicle is paid in full. 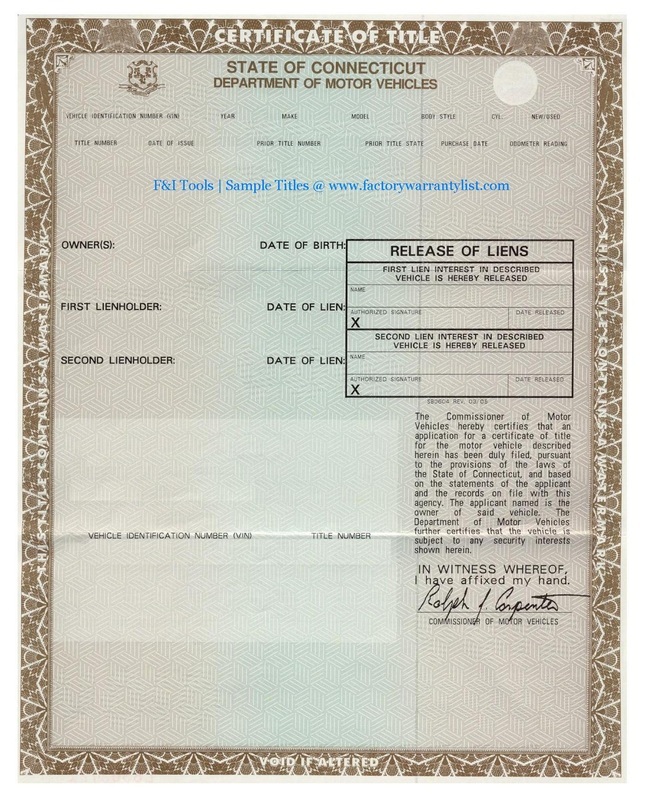 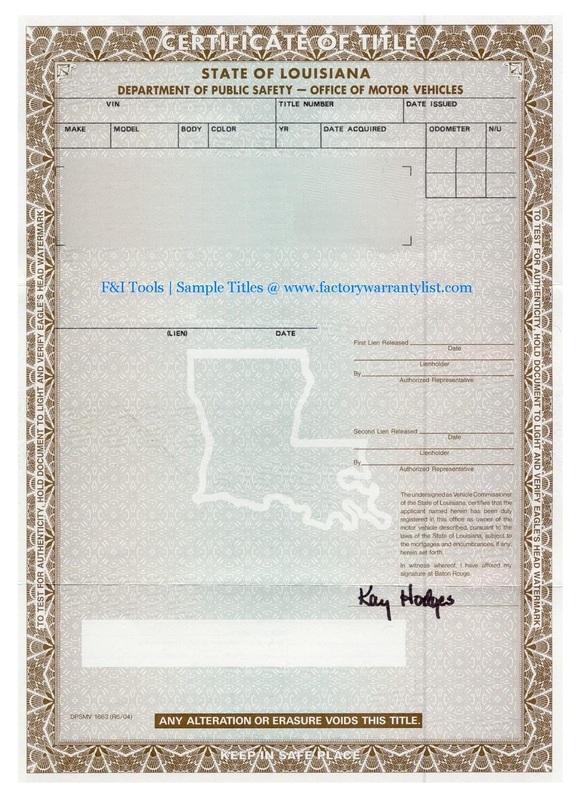 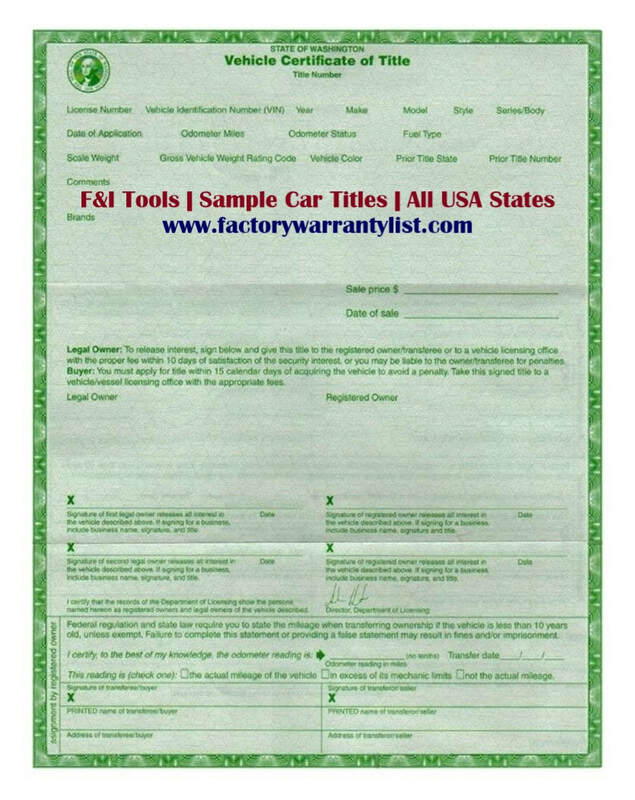 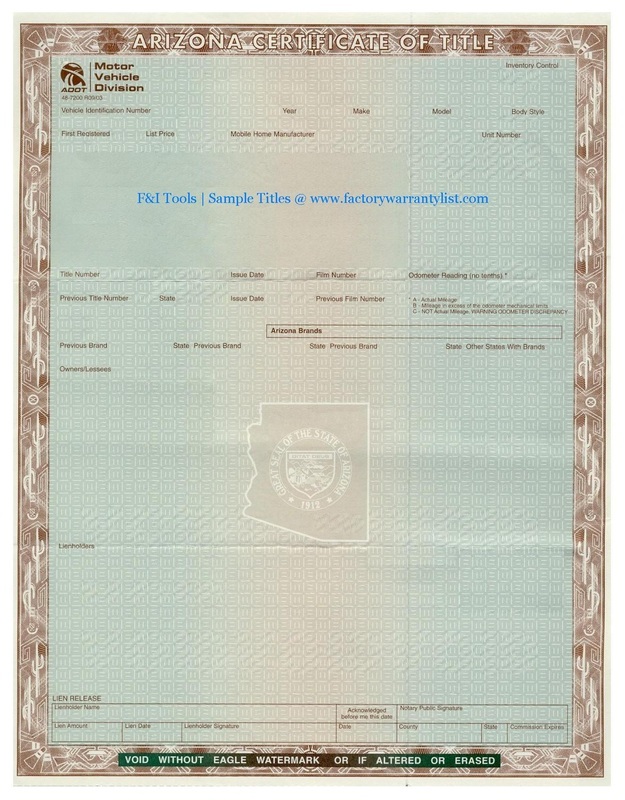 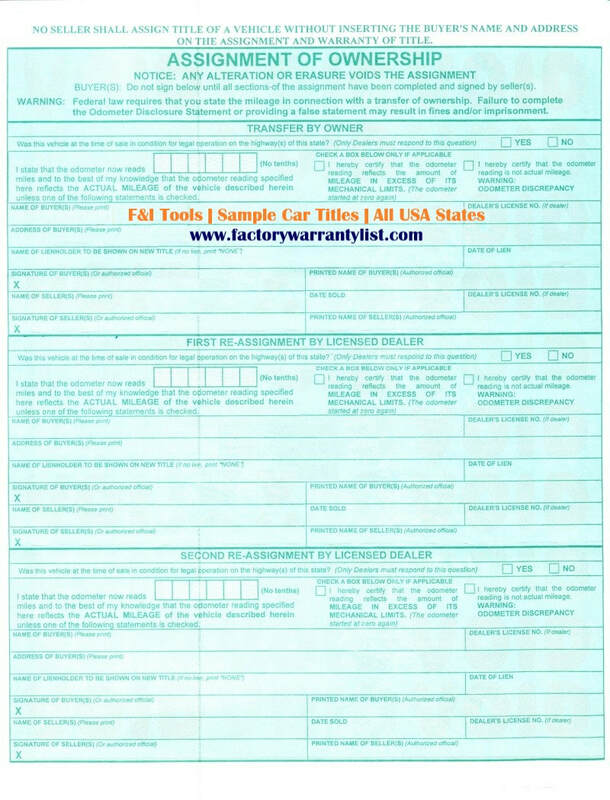 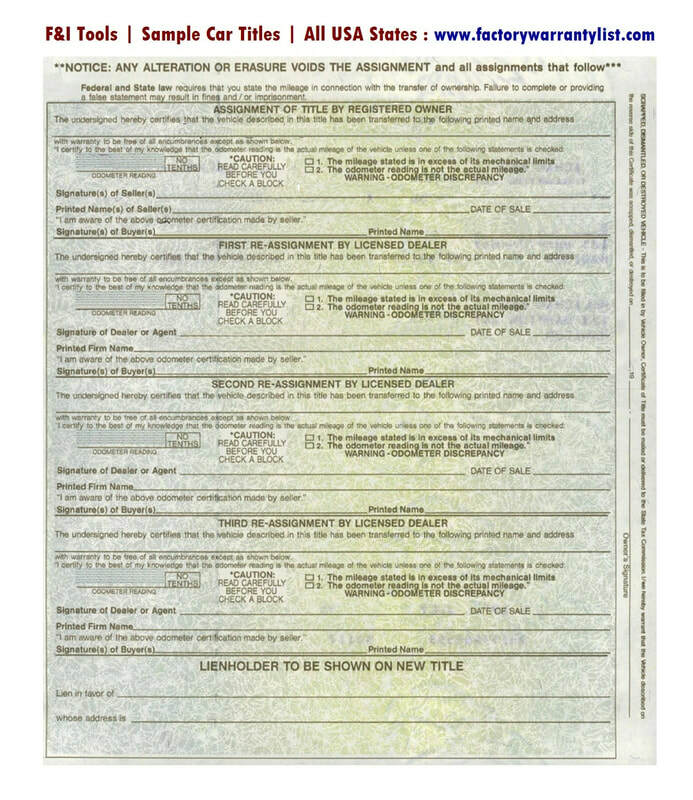 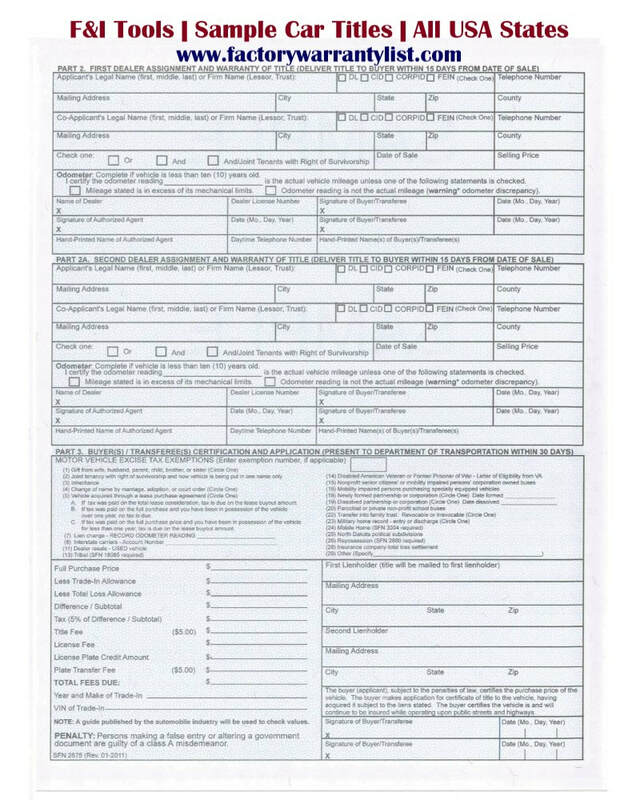 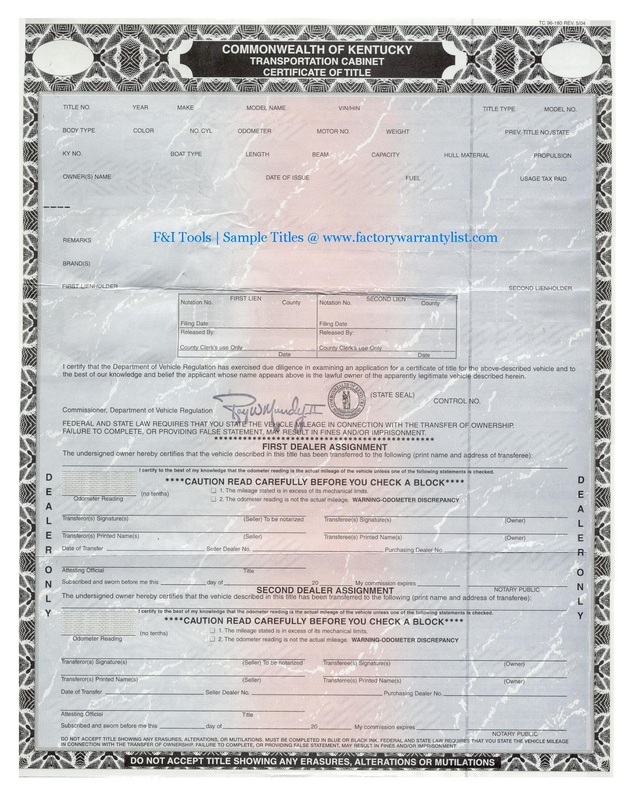 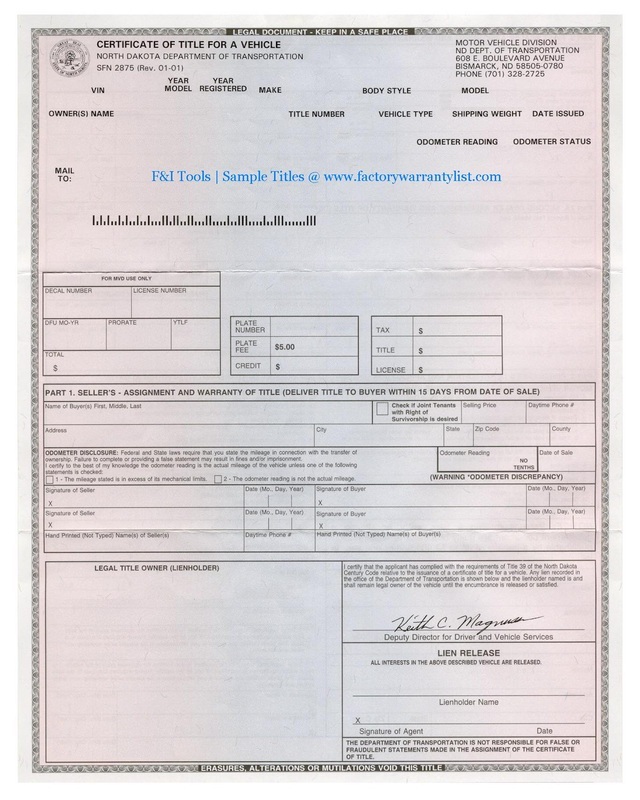 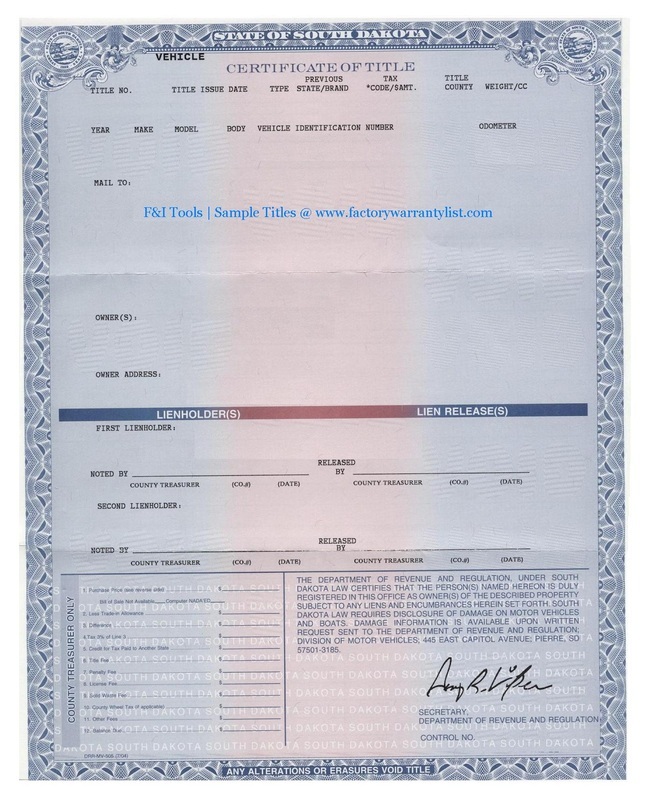 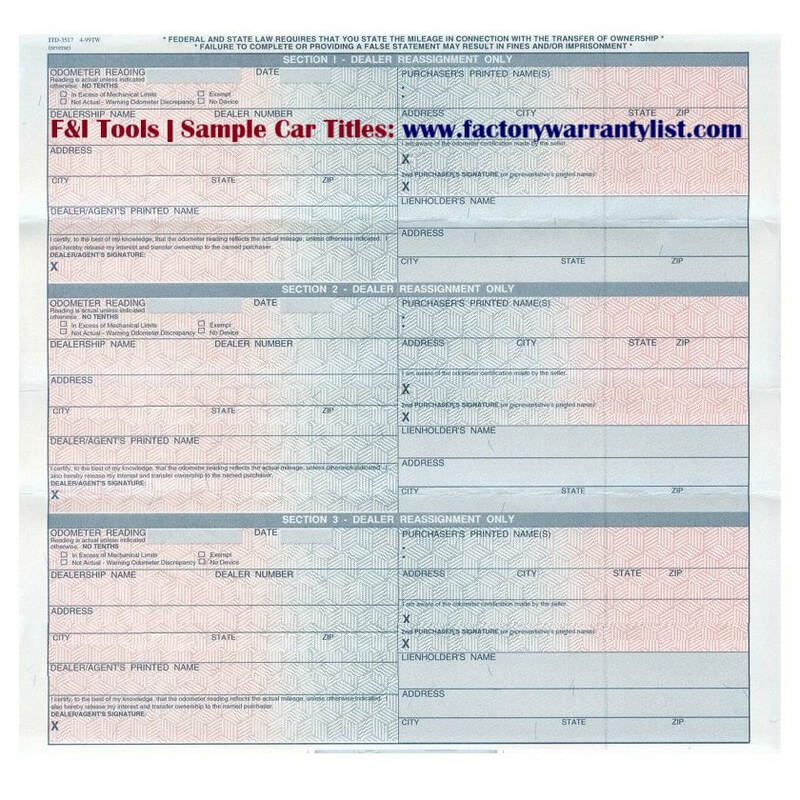 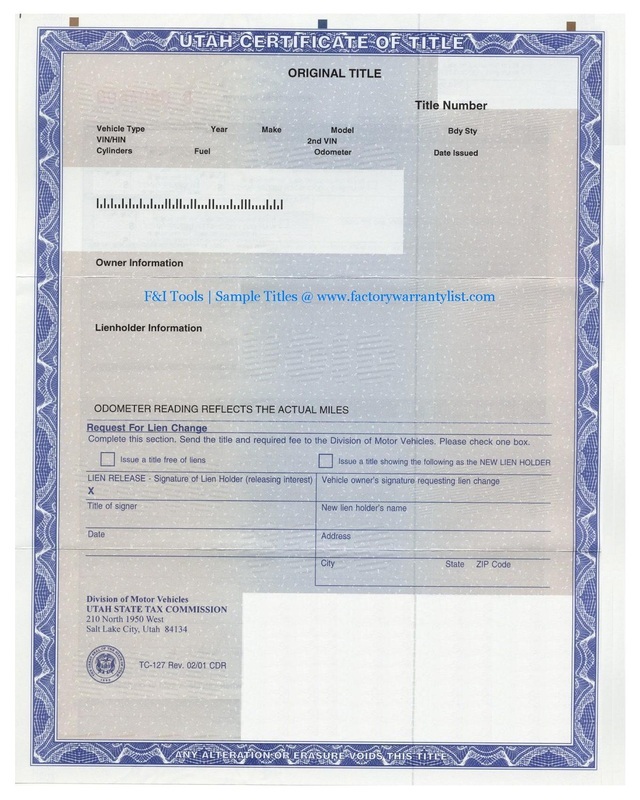 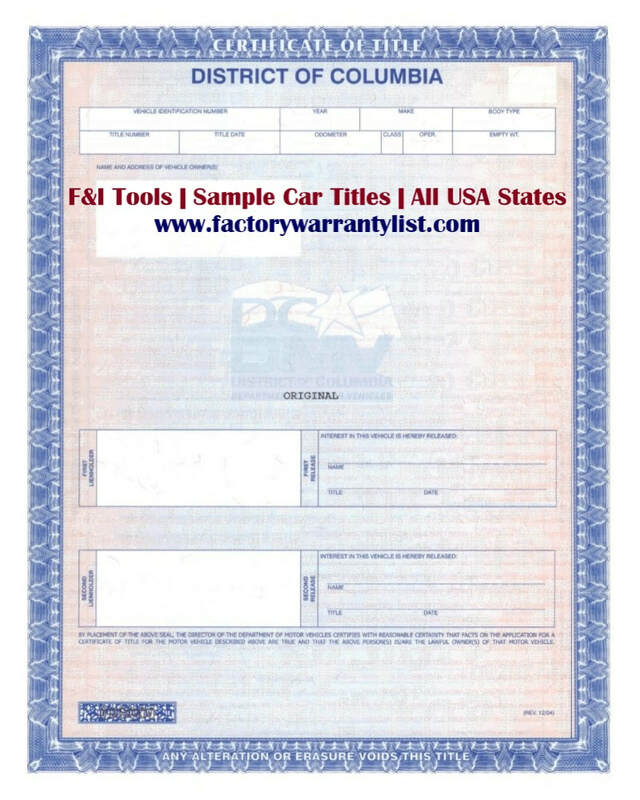 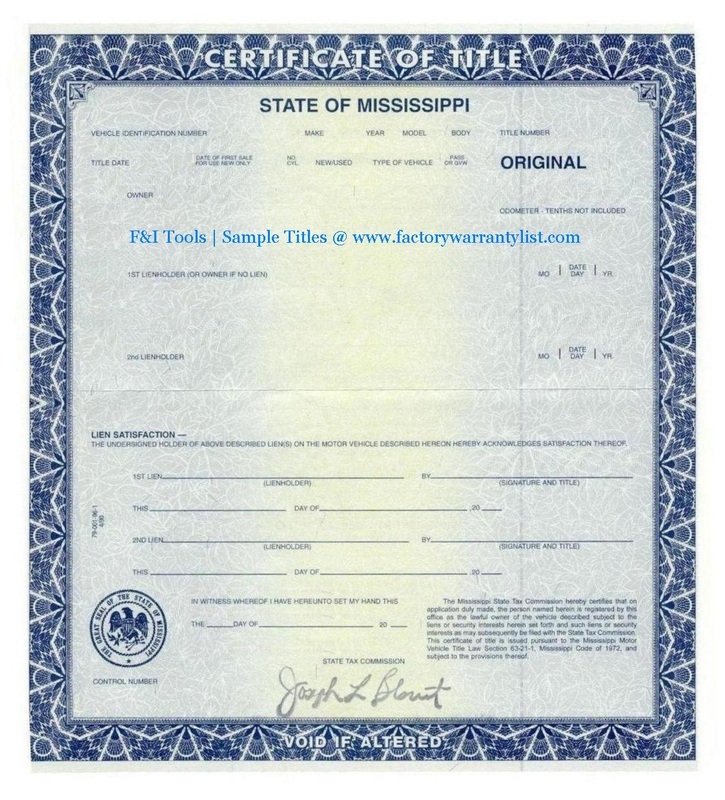 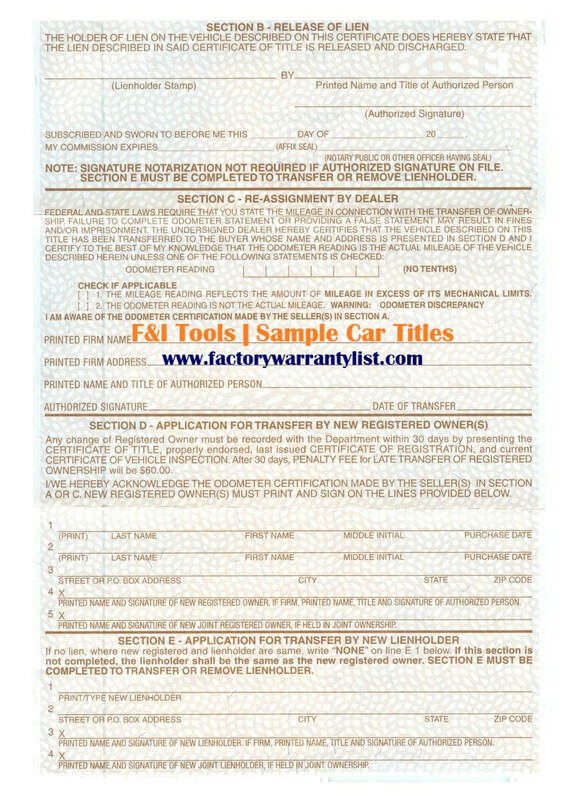 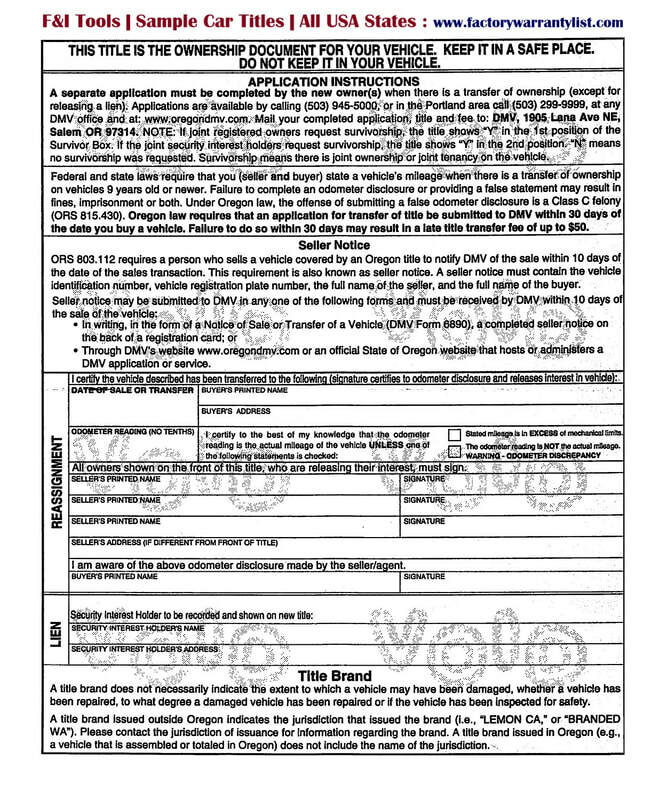 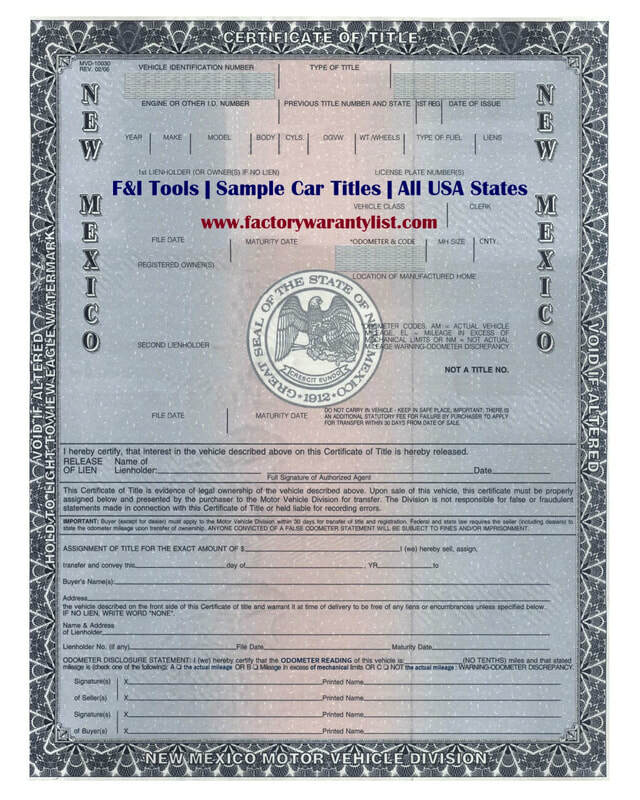 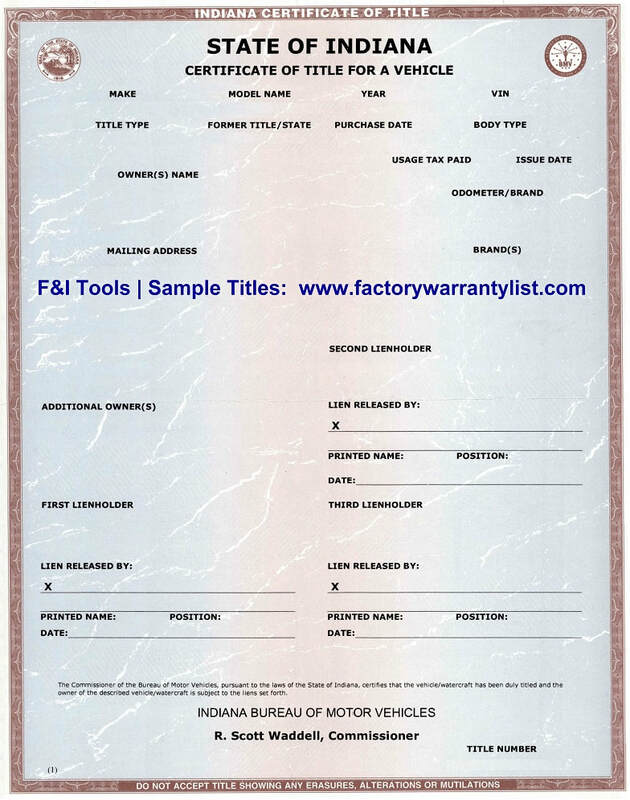 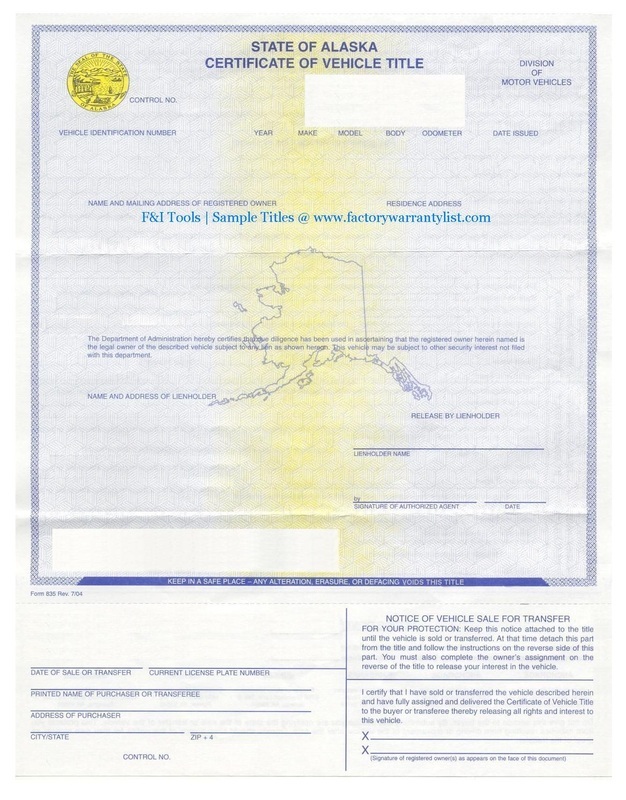 This legal document commonly called a “pink slip” denotes the legal owner and is required to complete a transfer of ownership whenever a motor vehicle is bought, sold, or traded. 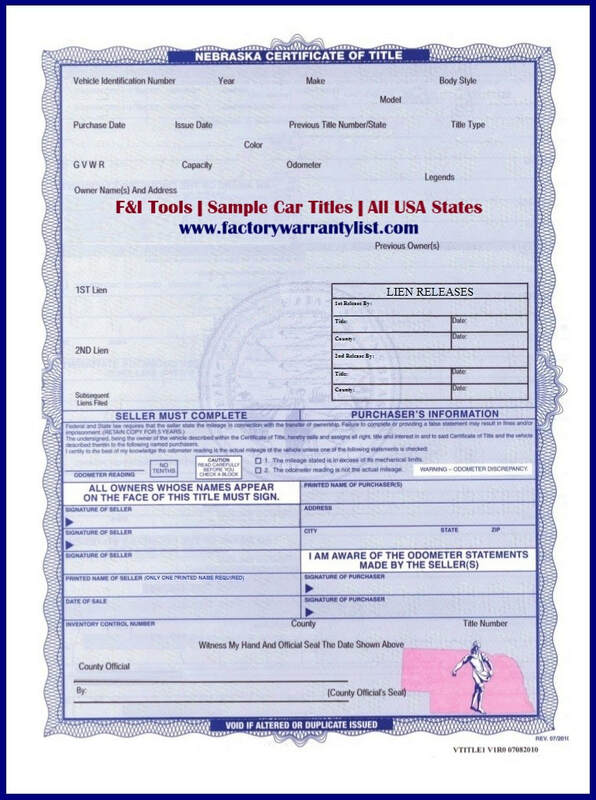 What is a pink slip for a car? 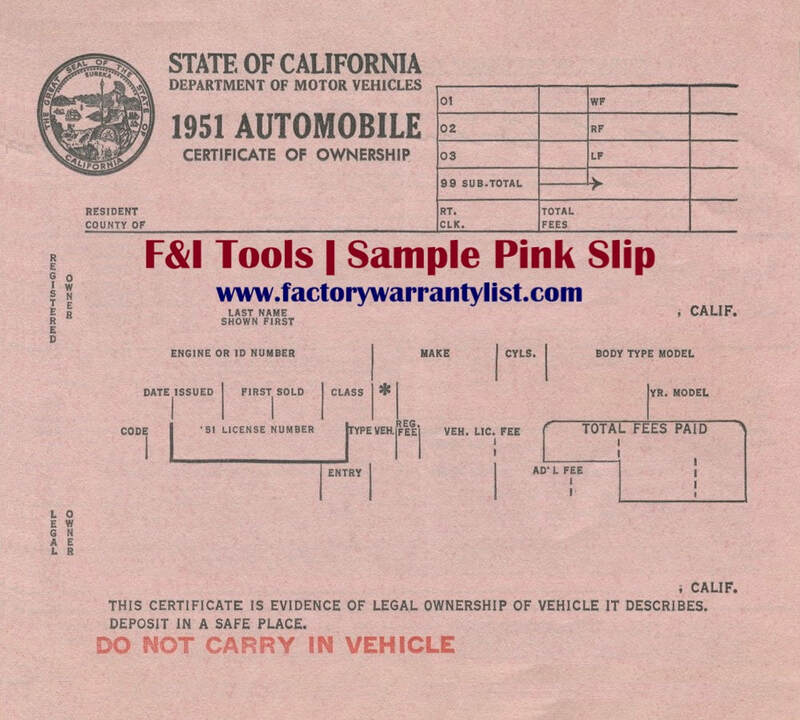 "Pink Slip" is slang for "Car Title" created by 1950's street-racers in California gambling their cars for "pinks" so-called because it was the color of the titles during that time. 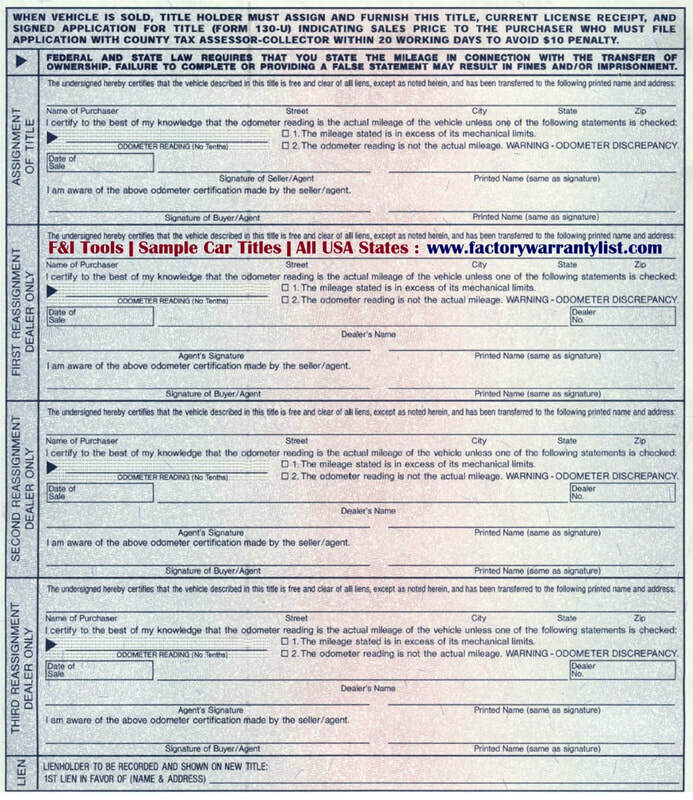 The race began when both competitors had "pinks" in hand, and ended when the loser signed his or her car over to the winner. 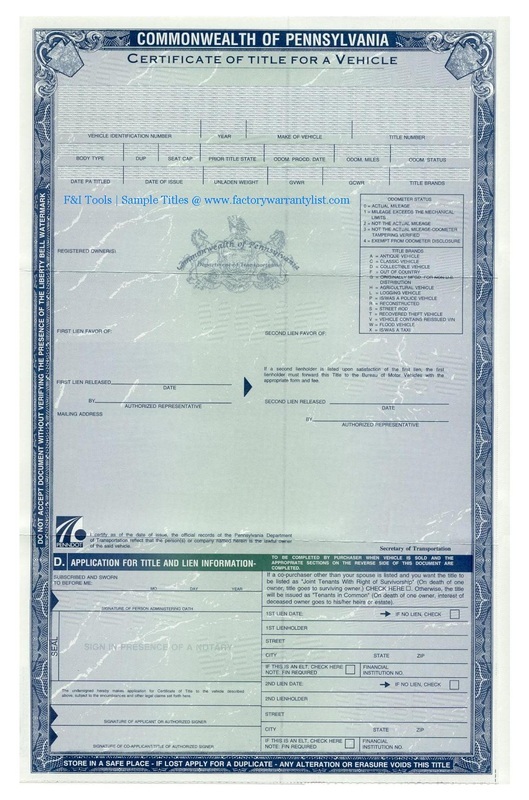 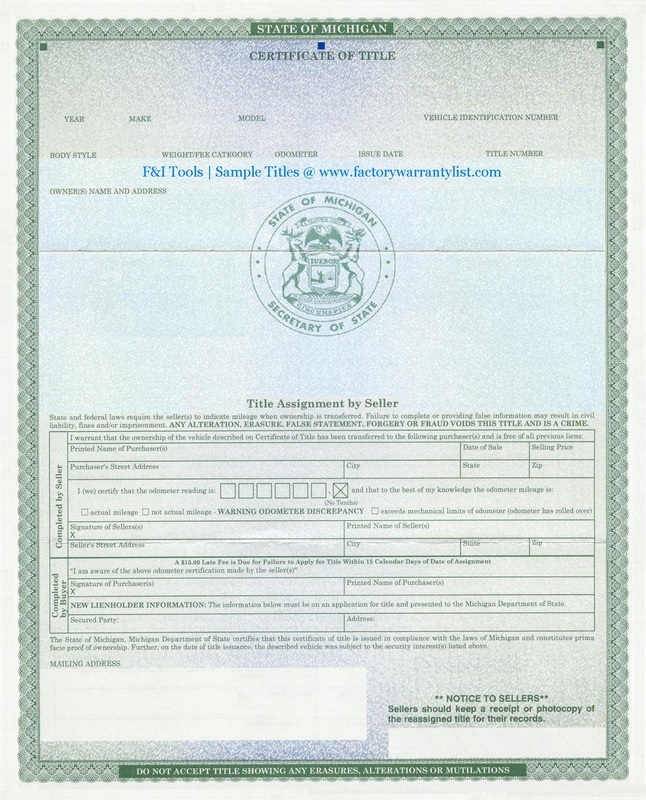 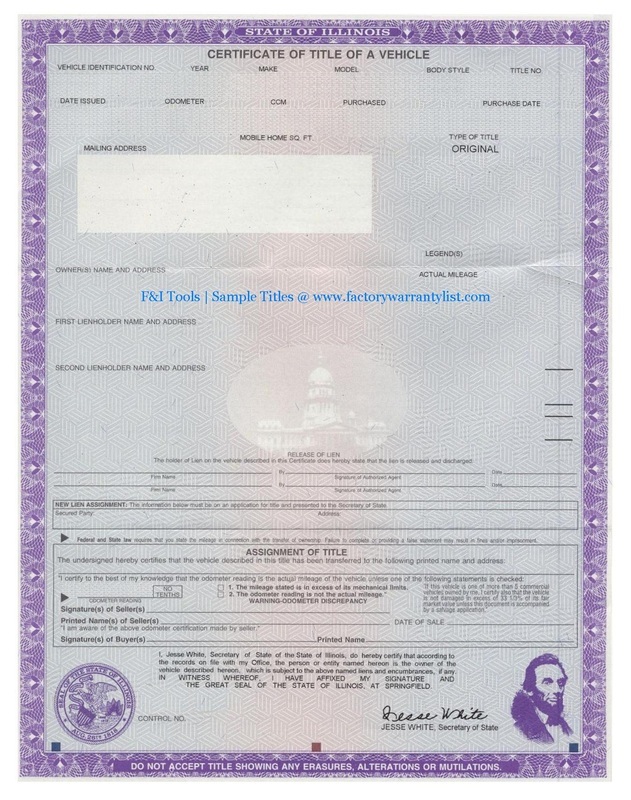 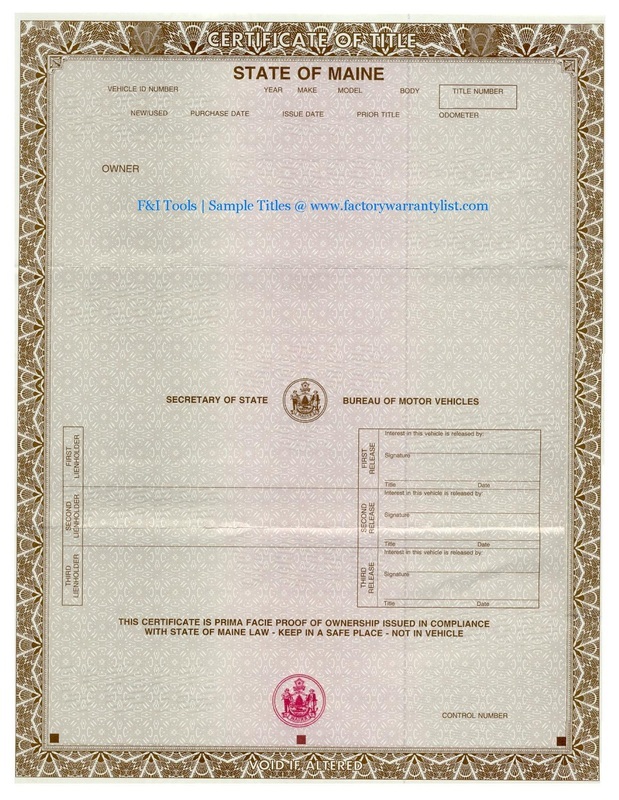 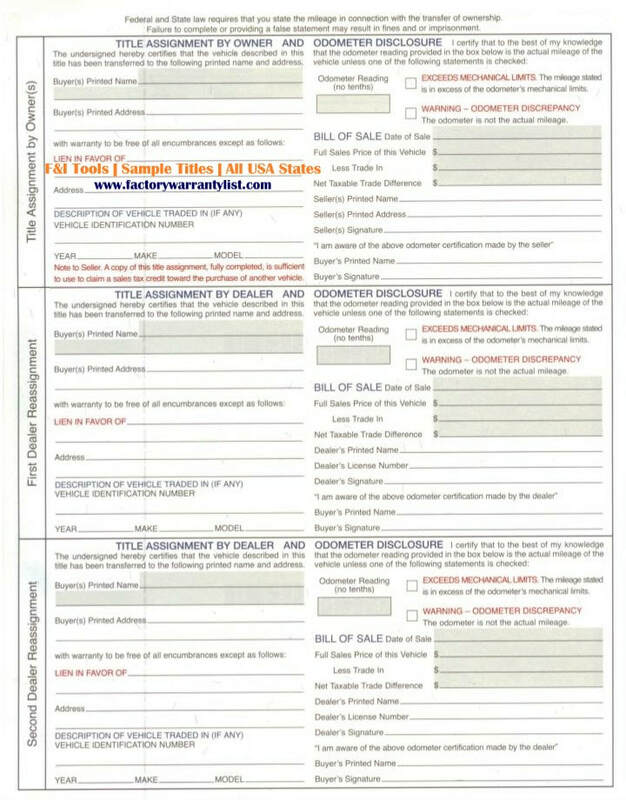 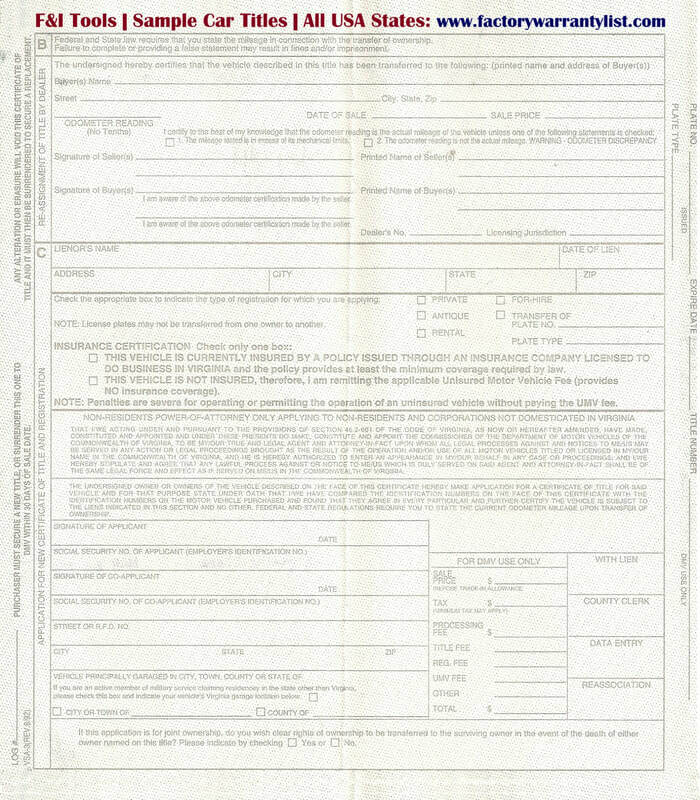 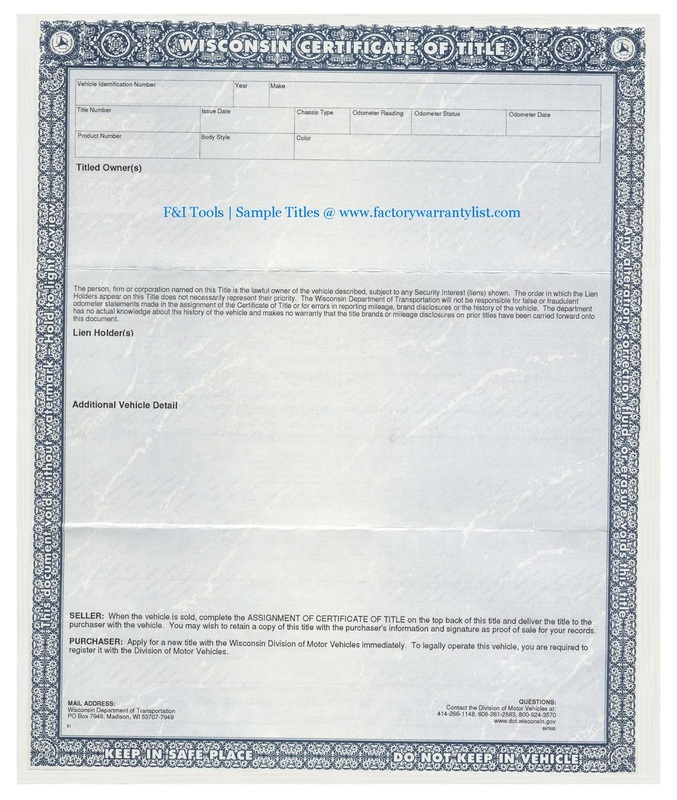 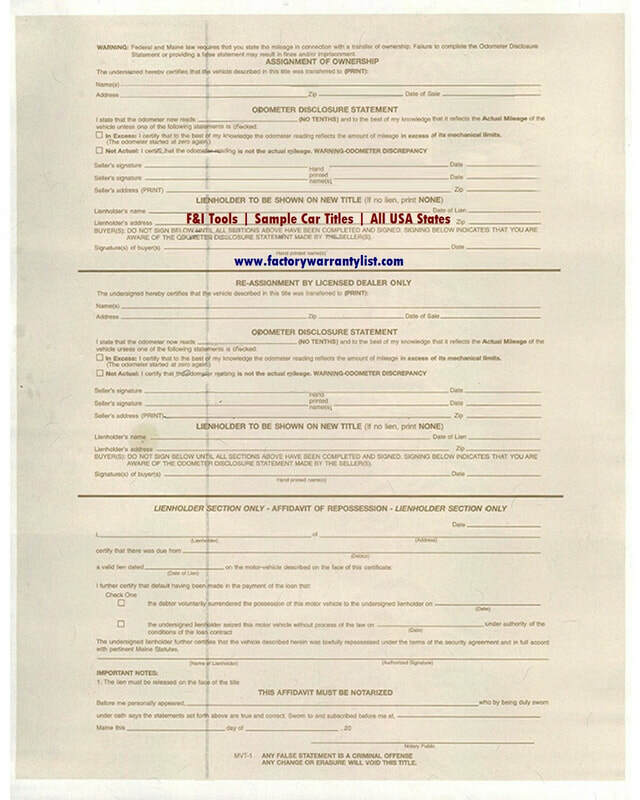 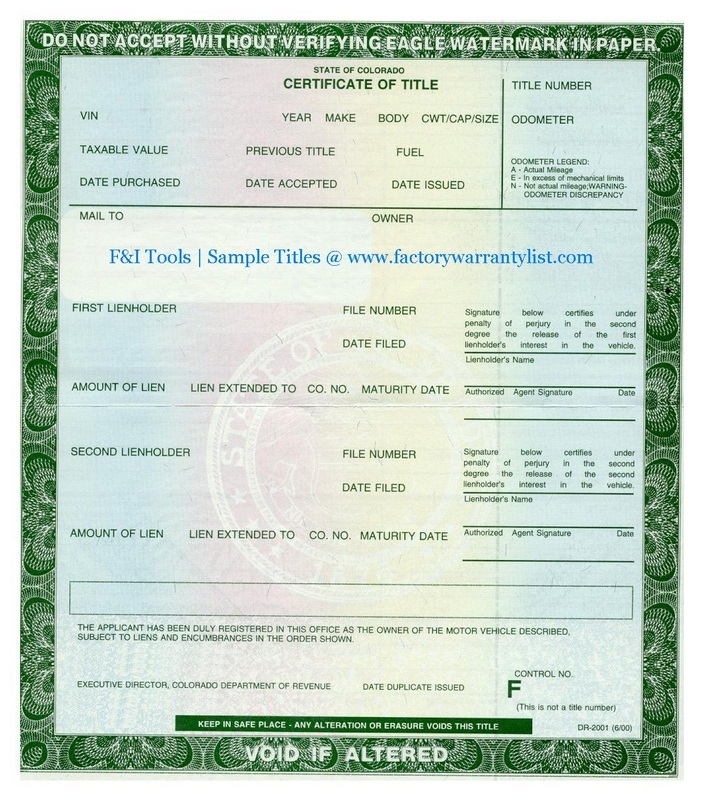 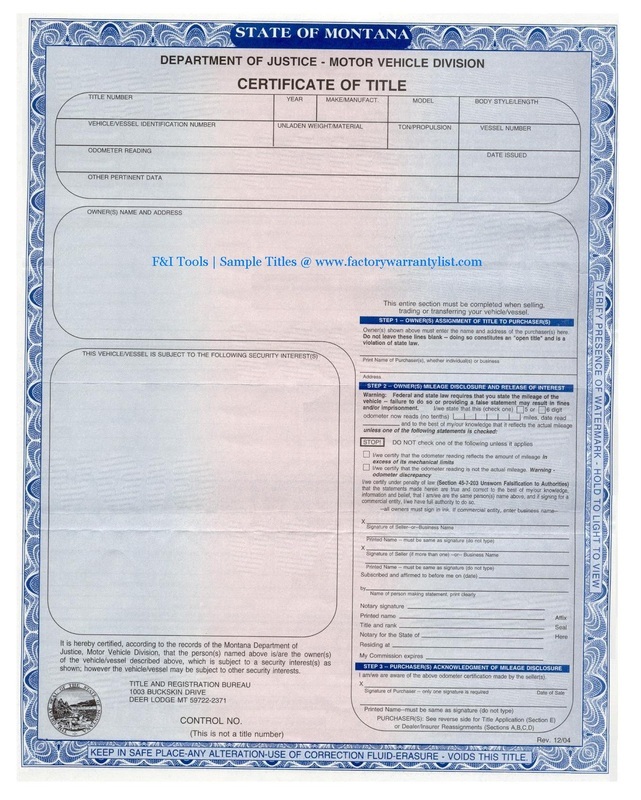 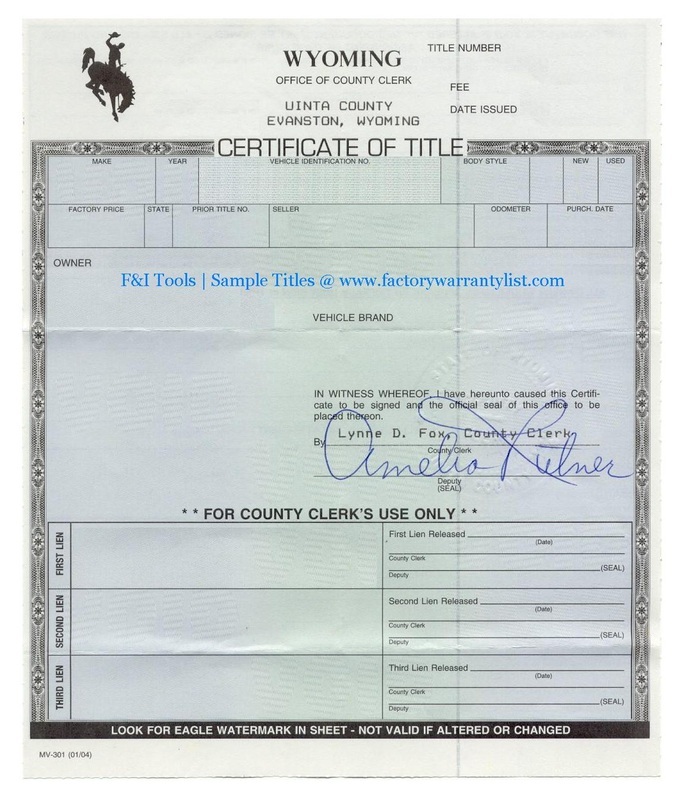 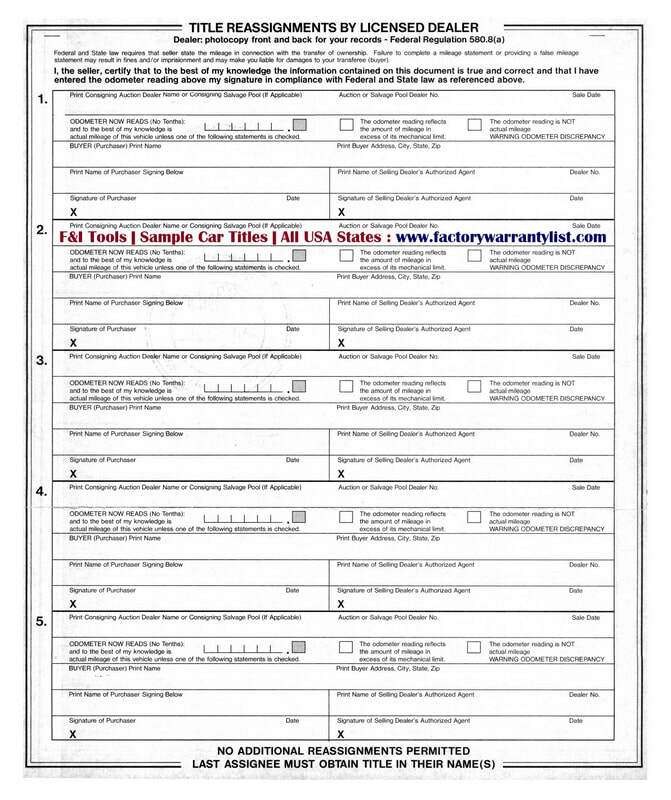 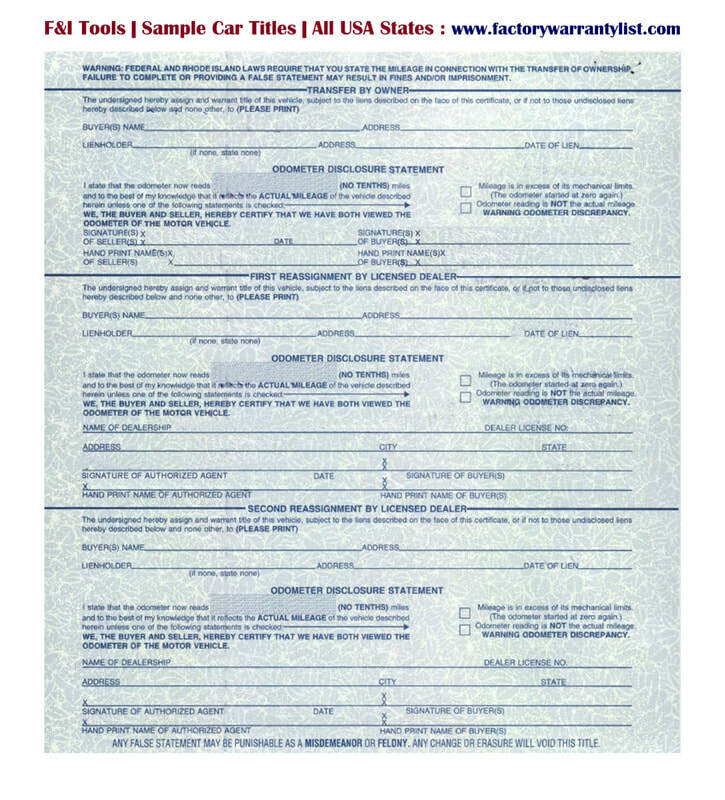 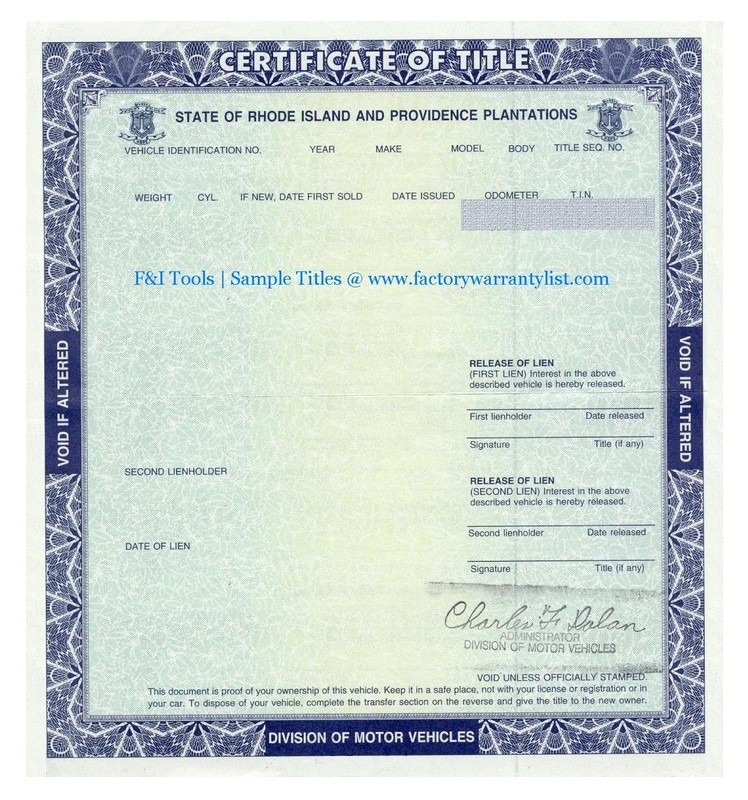 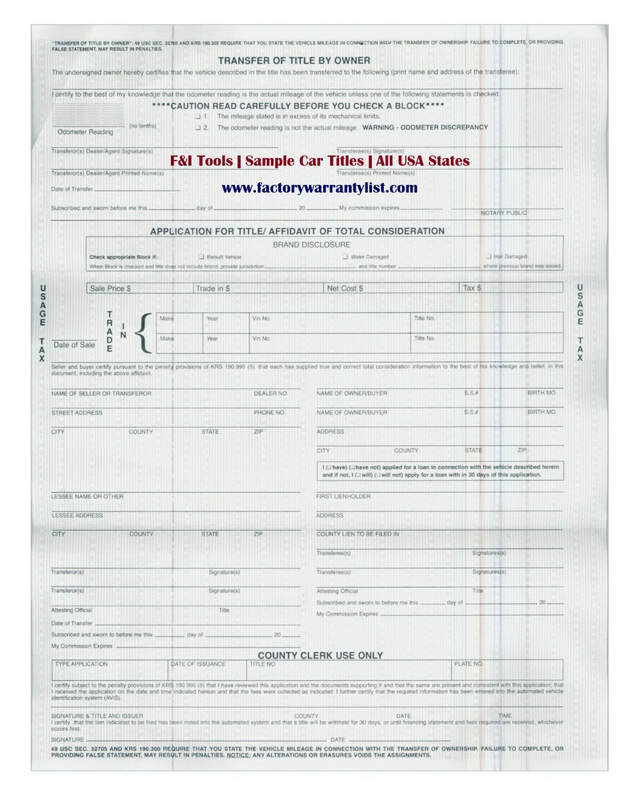 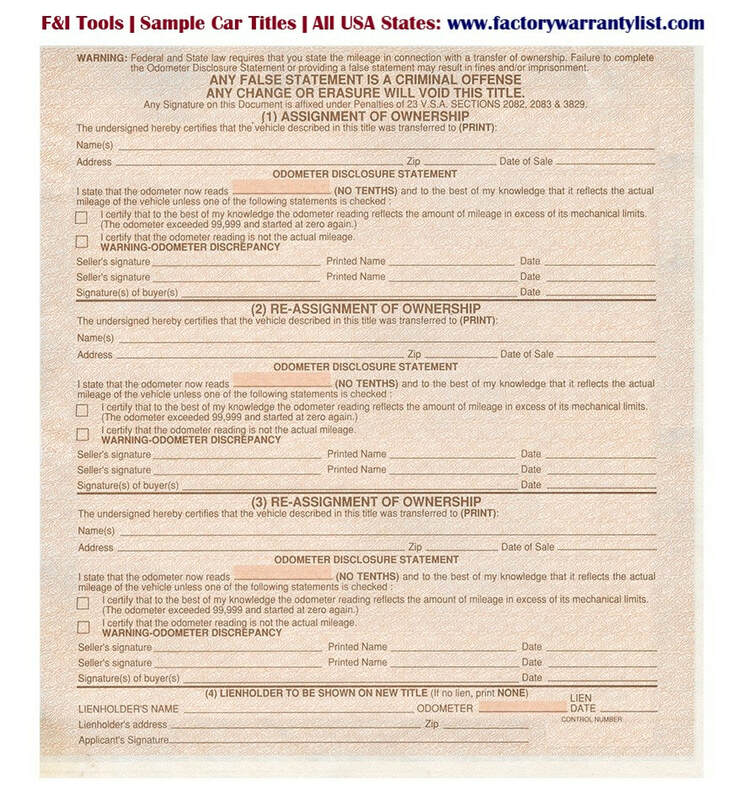 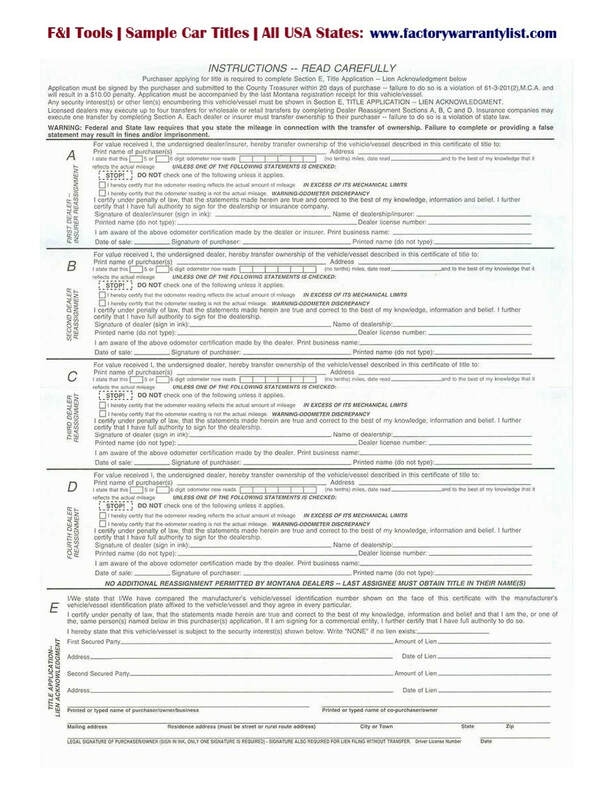 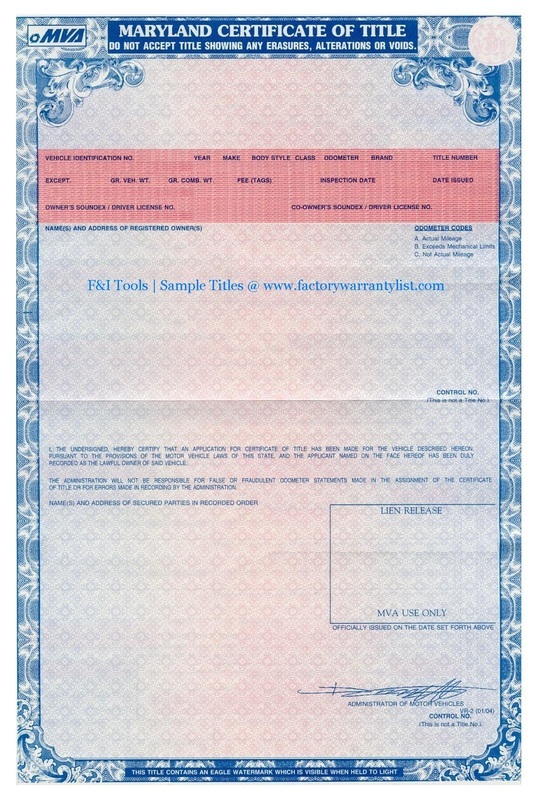 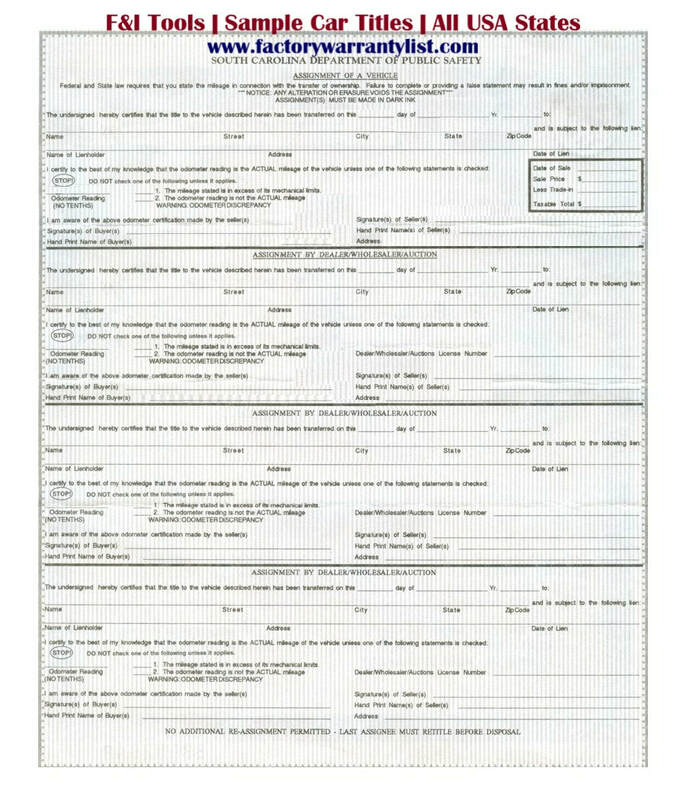 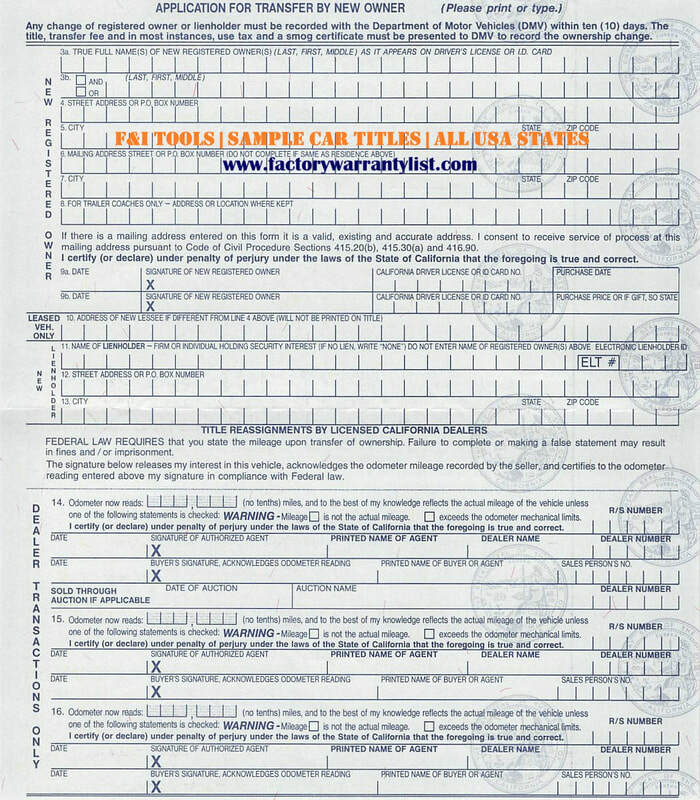 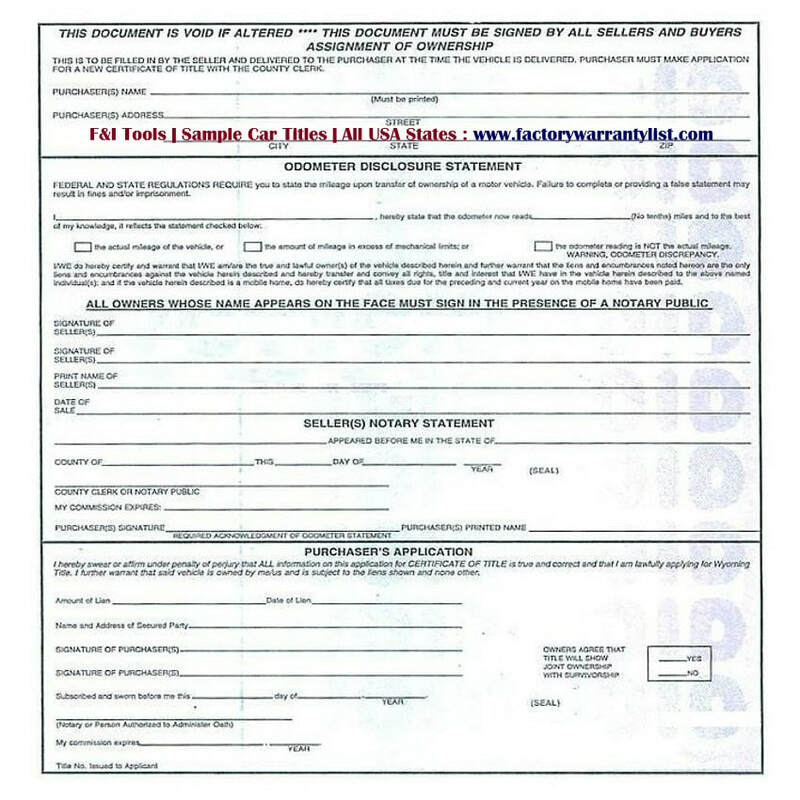 The pink slip is the certificate of ownership that makes a vehicle transfer official. 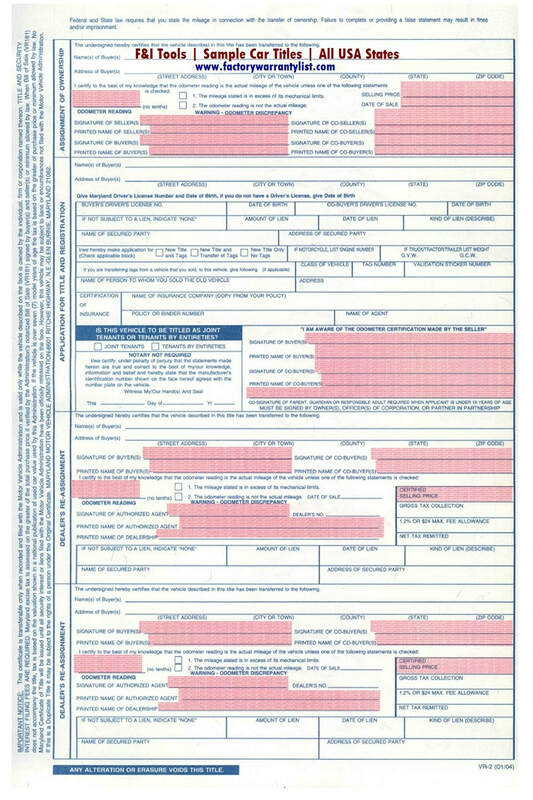 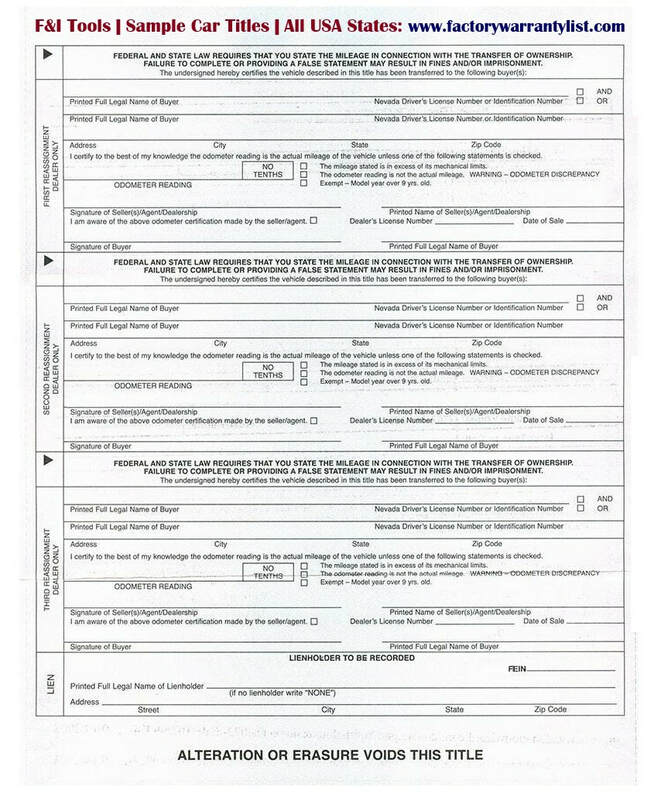 What does a pink slip look like? 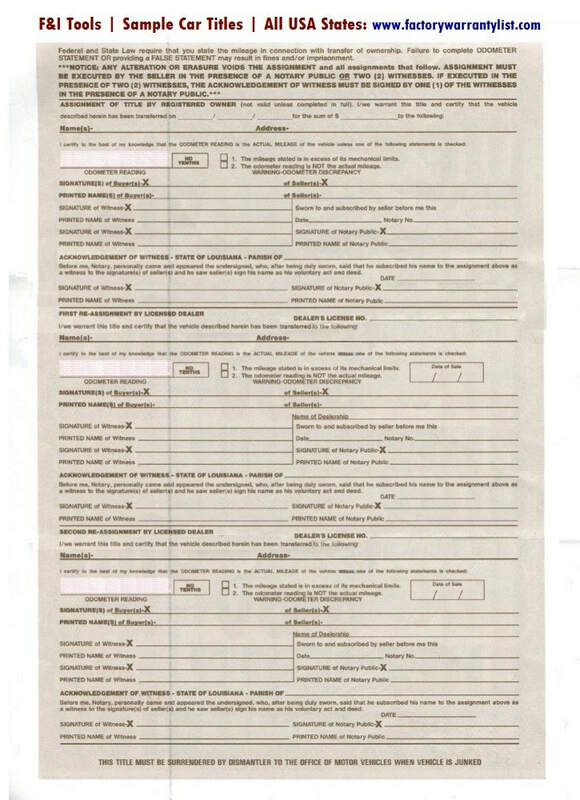 Probably at the bank! 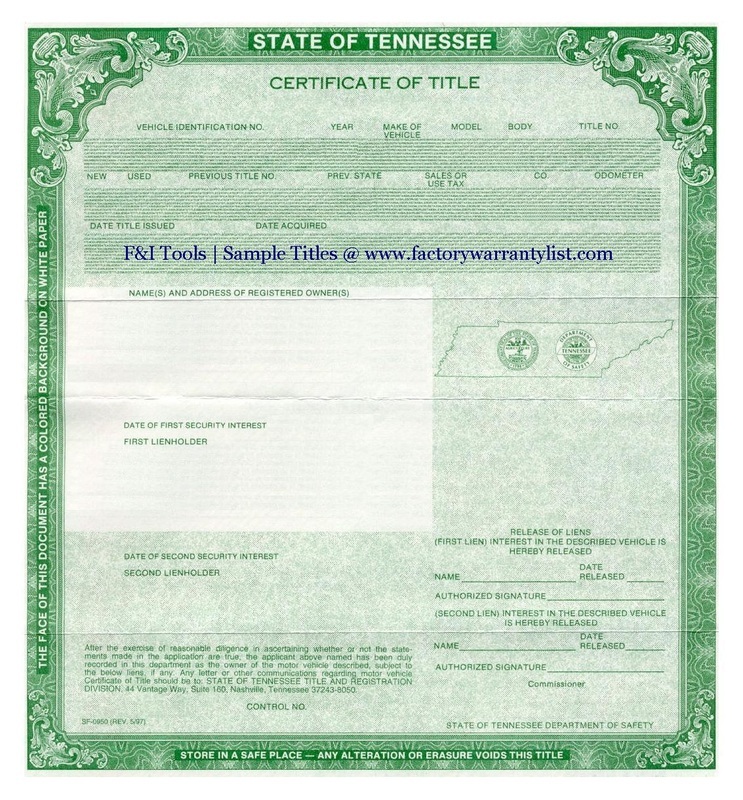 If you are financing, in most states the bank holds your title until the car is paid off. 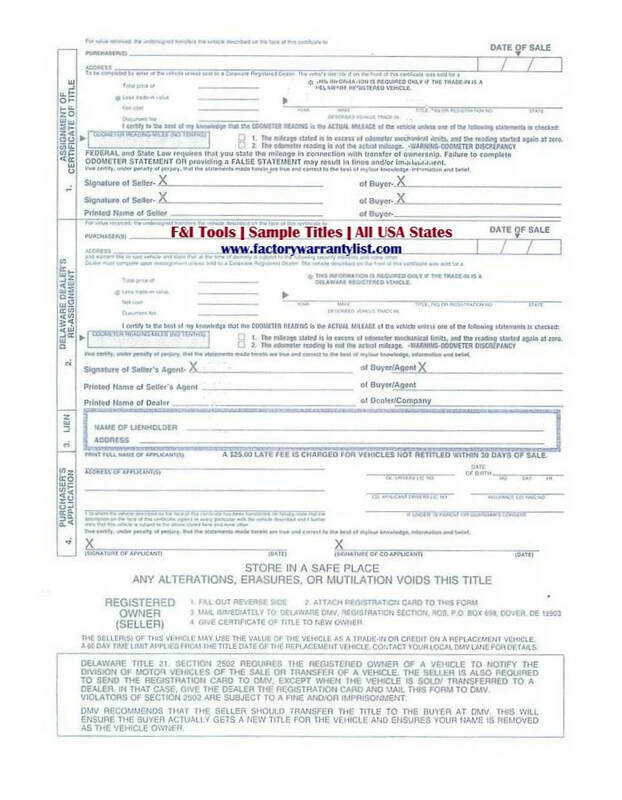 The title will come to you in the mail two to three weeks after final payment. 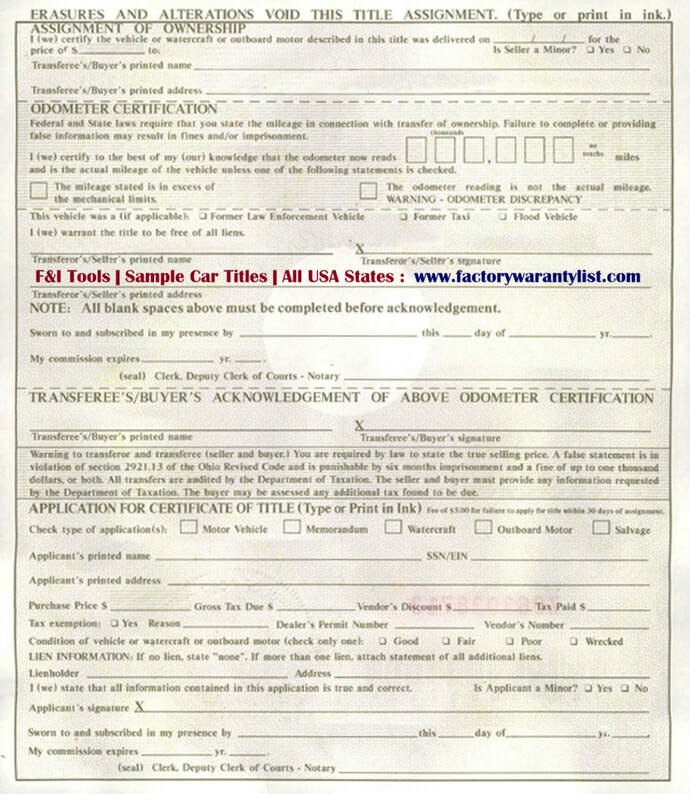 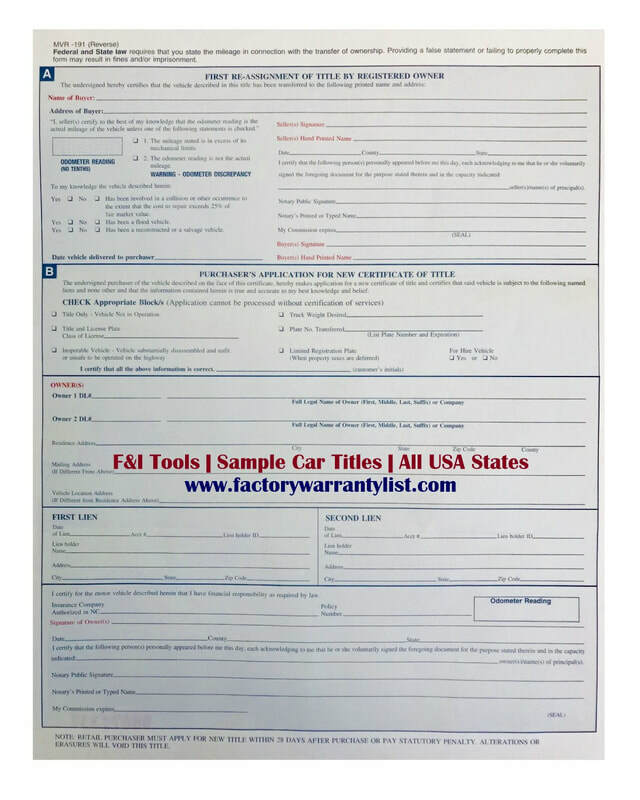 If you pay cash at an auto dealership, then the title will come to you in the mail two to three weeks after the cash clears the dealer’s account. 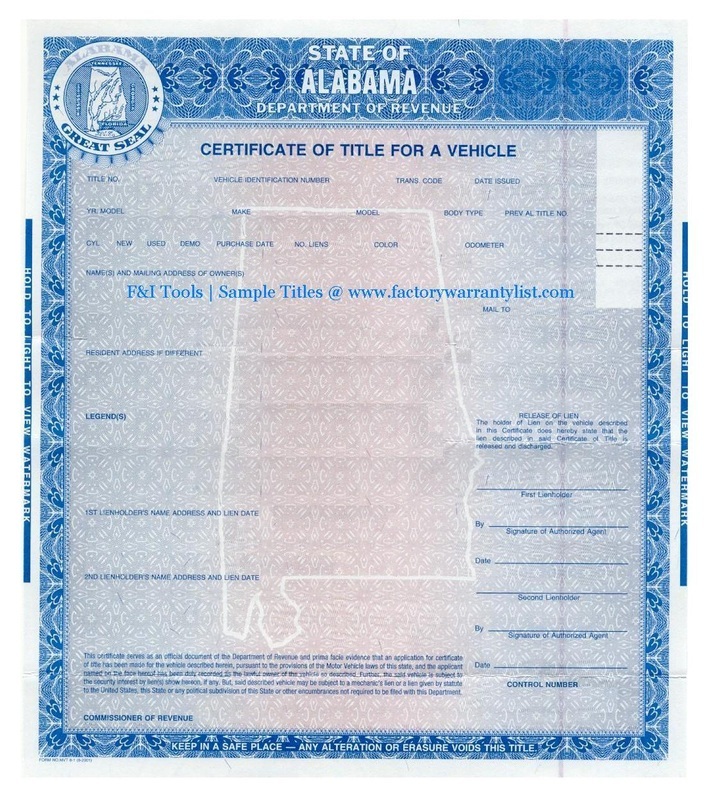 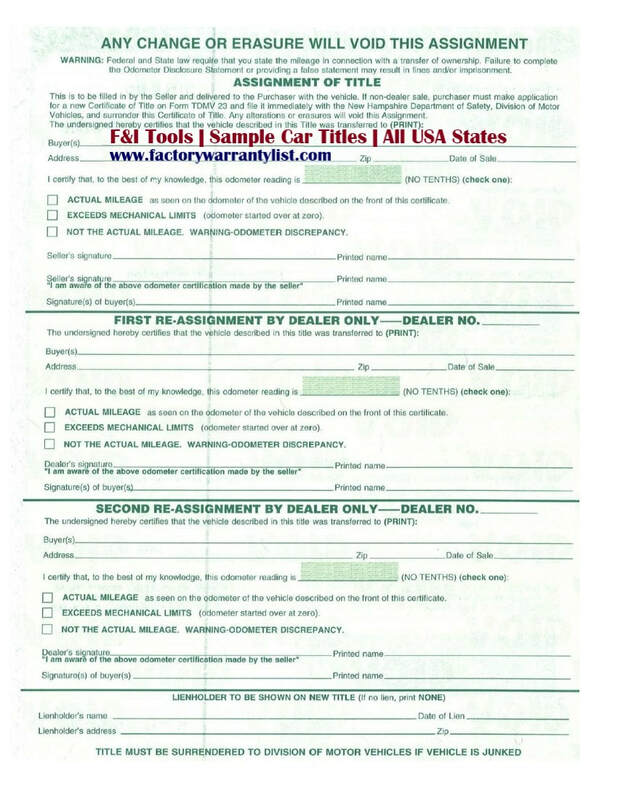 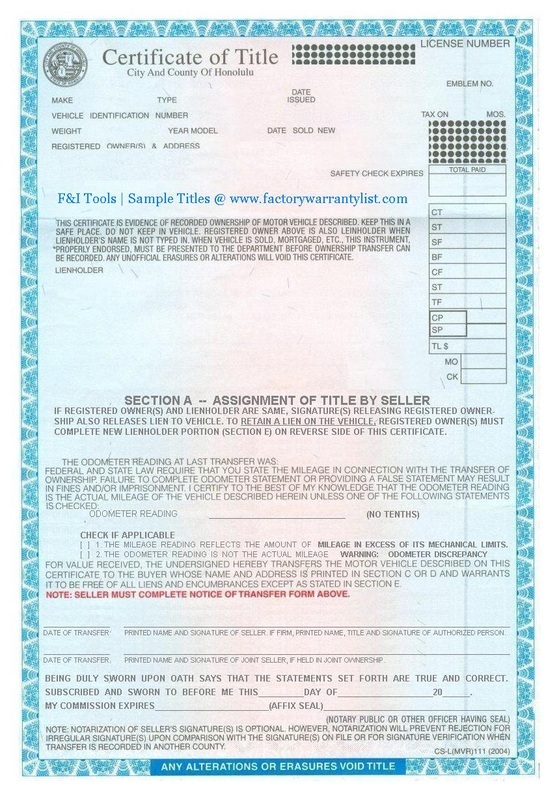 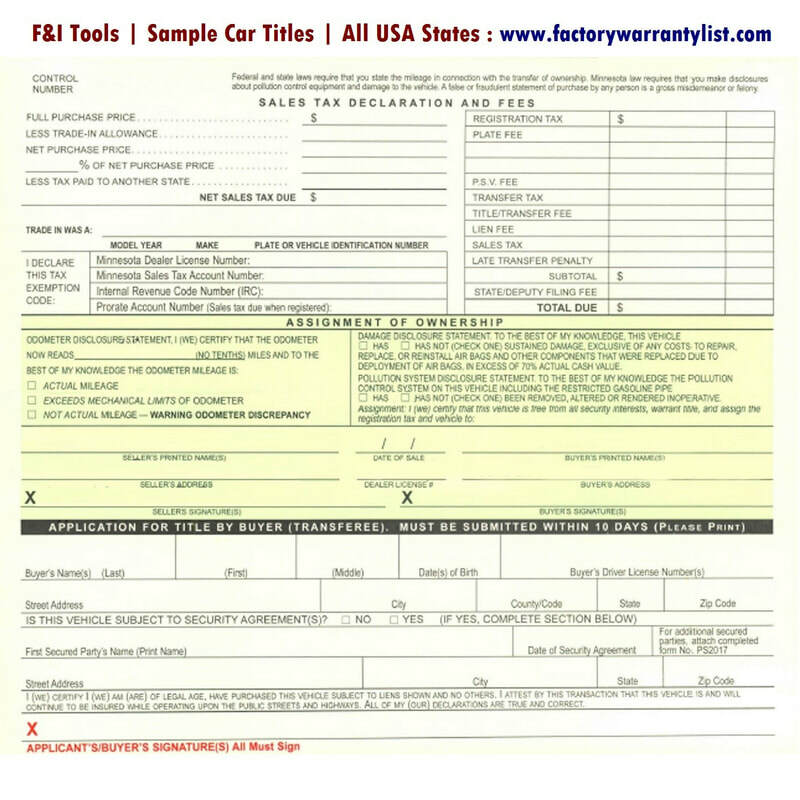 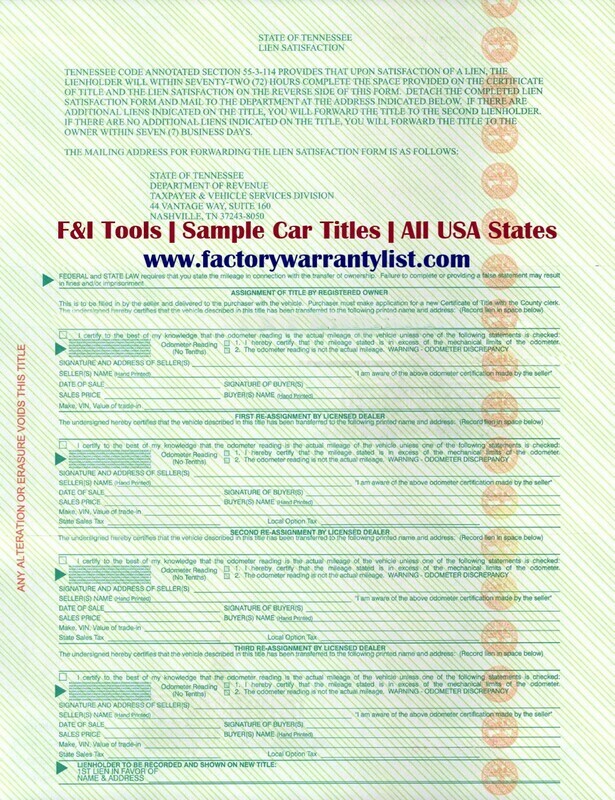 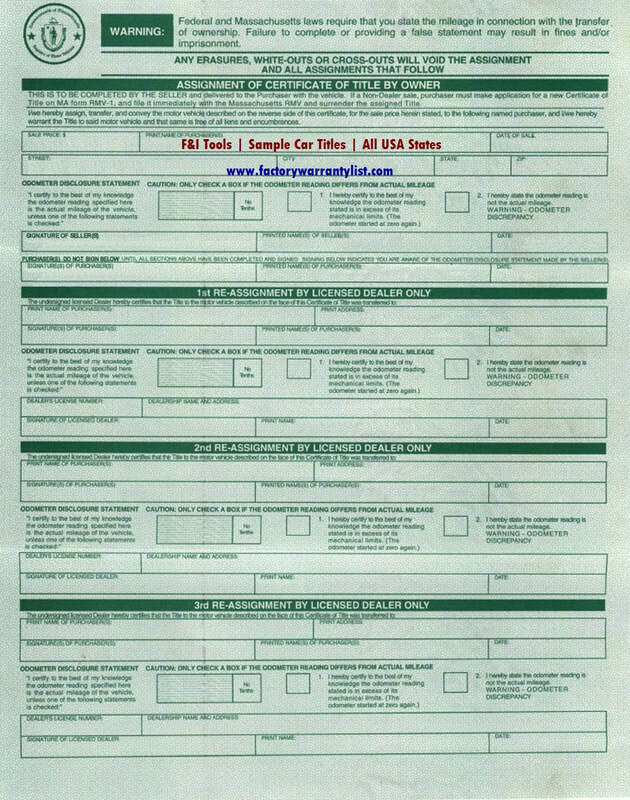 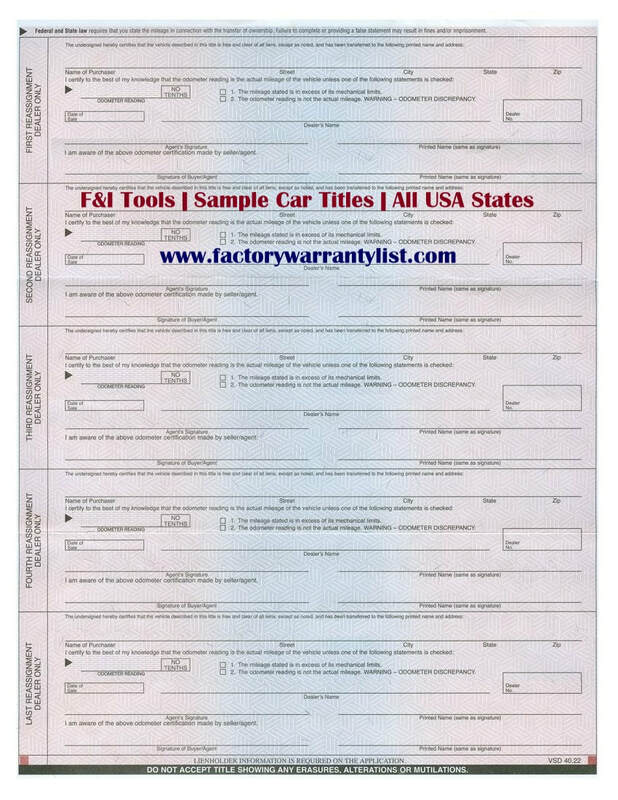 If you buy a vehicle from a private seller, the seller must give you the title at the time of sale. 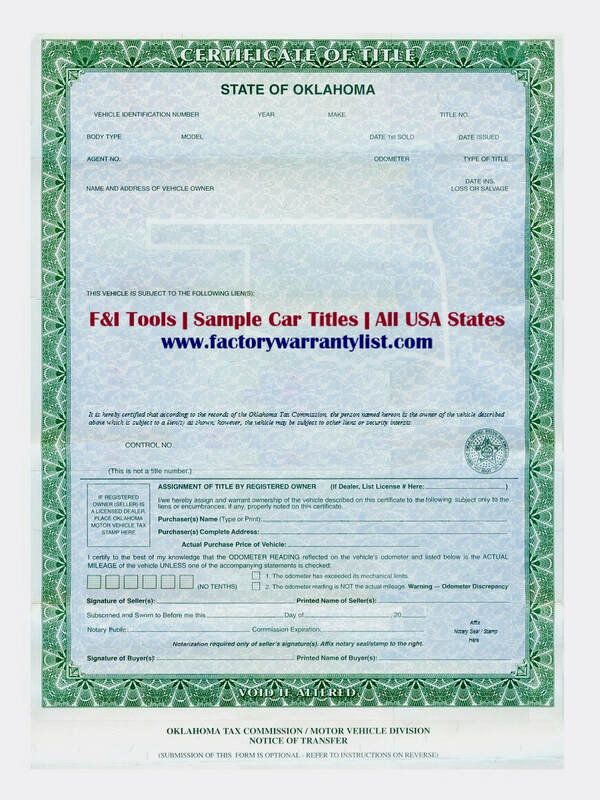 Pay off your car! 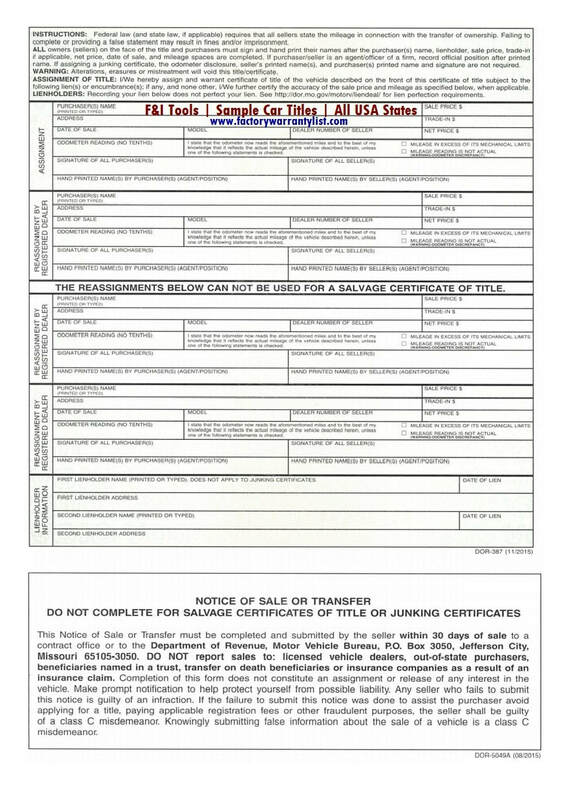 After final payment the title will come in the mail within two to three weeks. 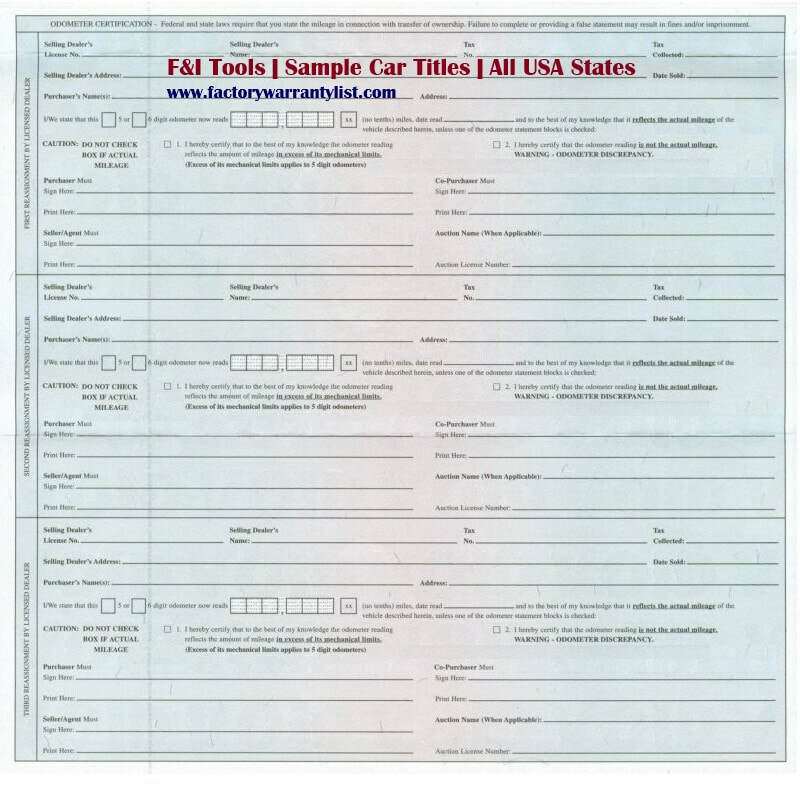 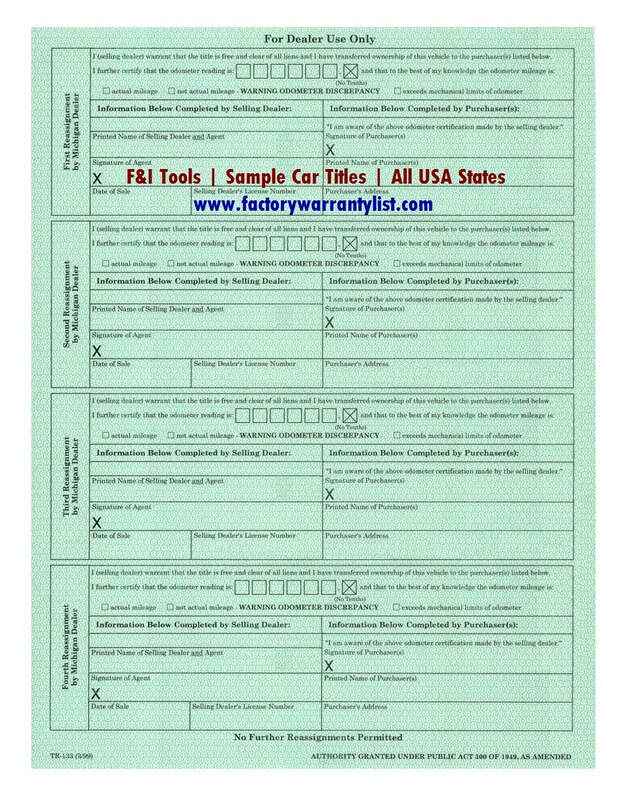 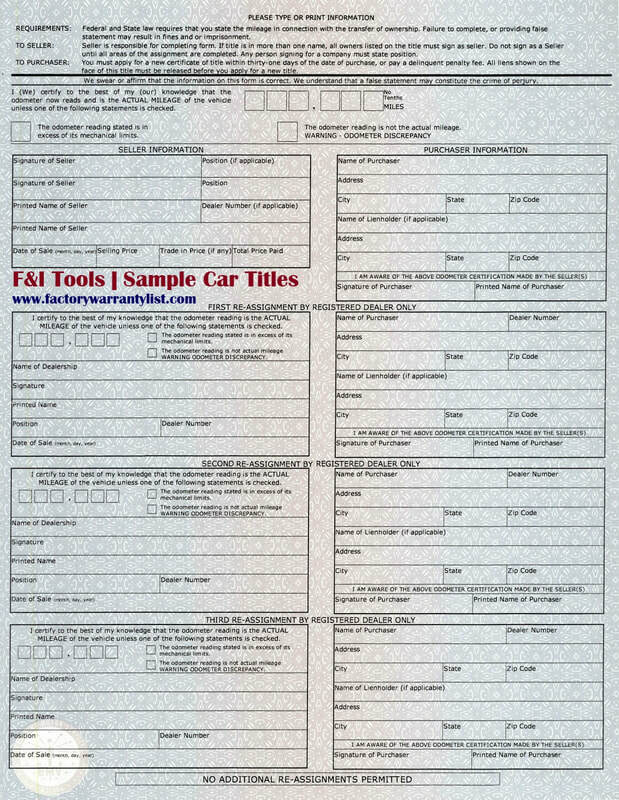 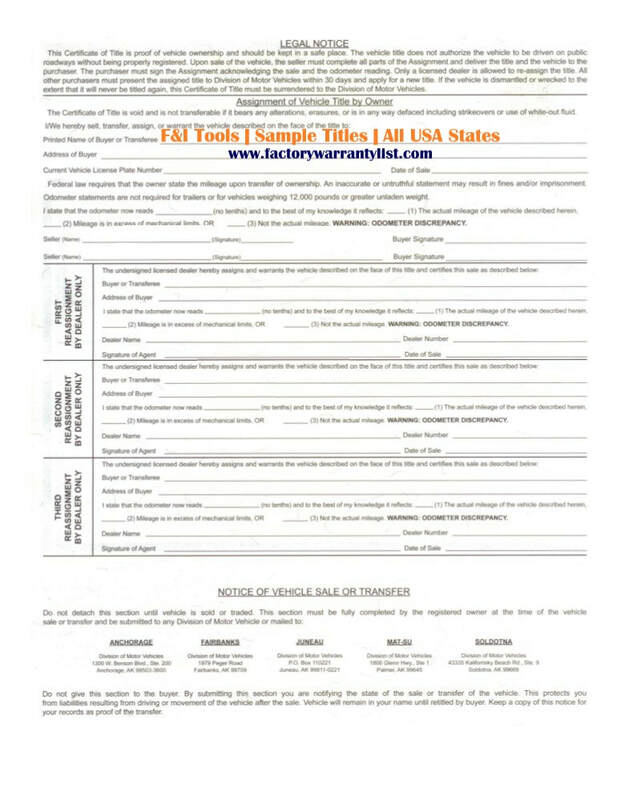 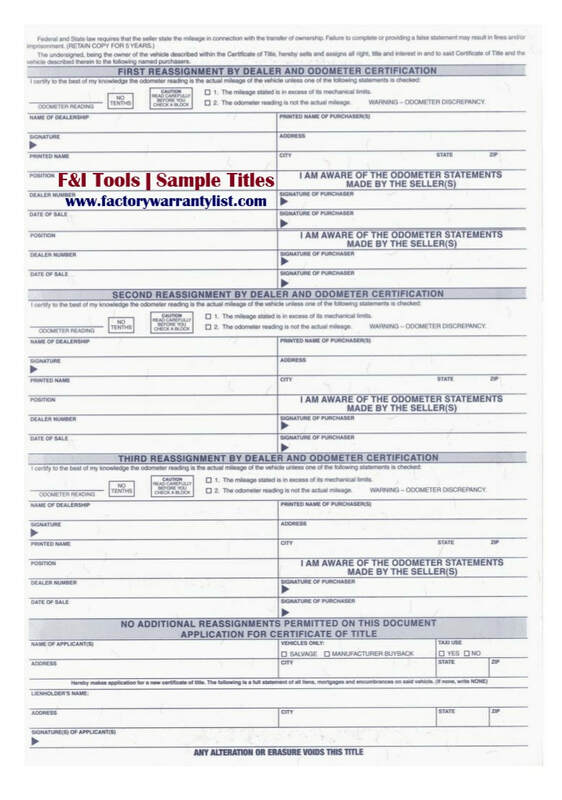 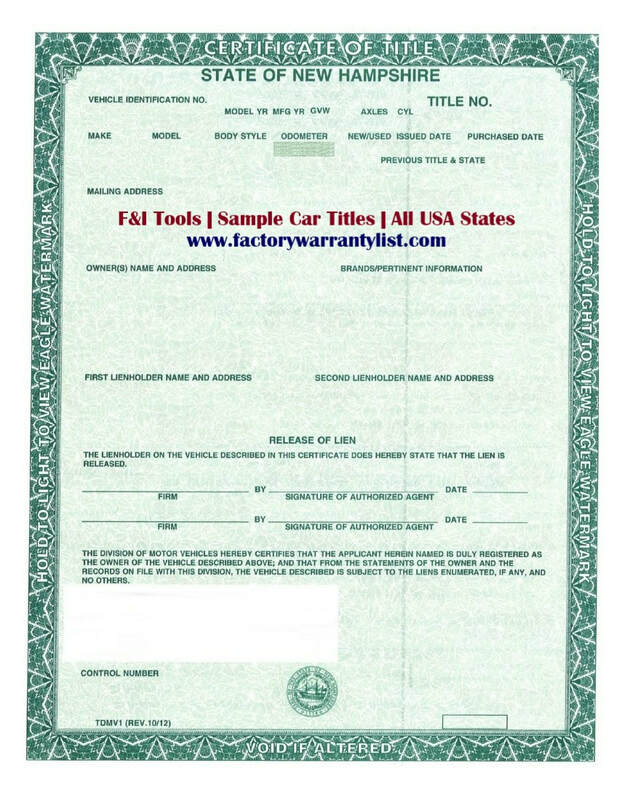 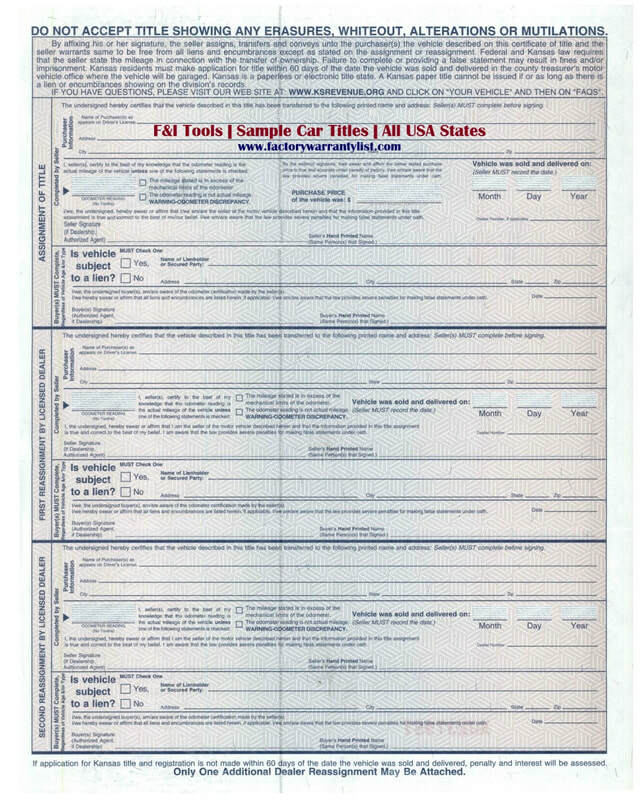 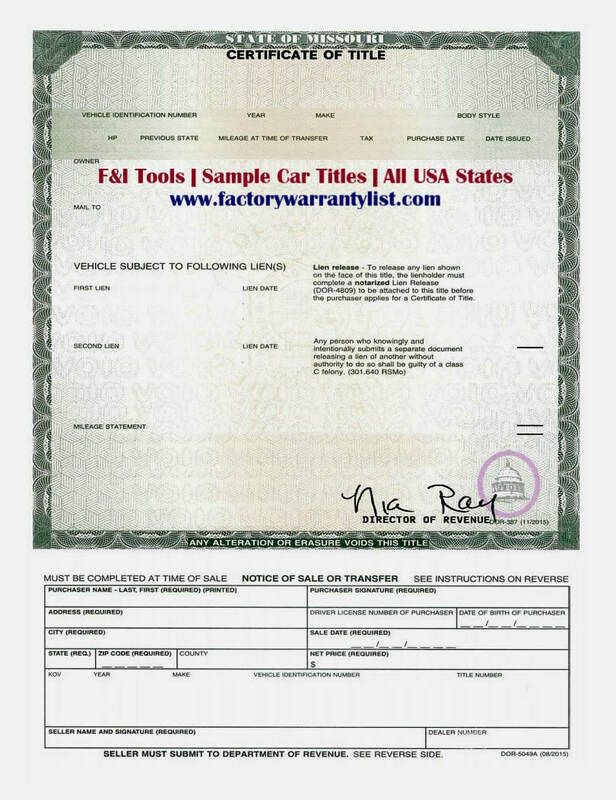 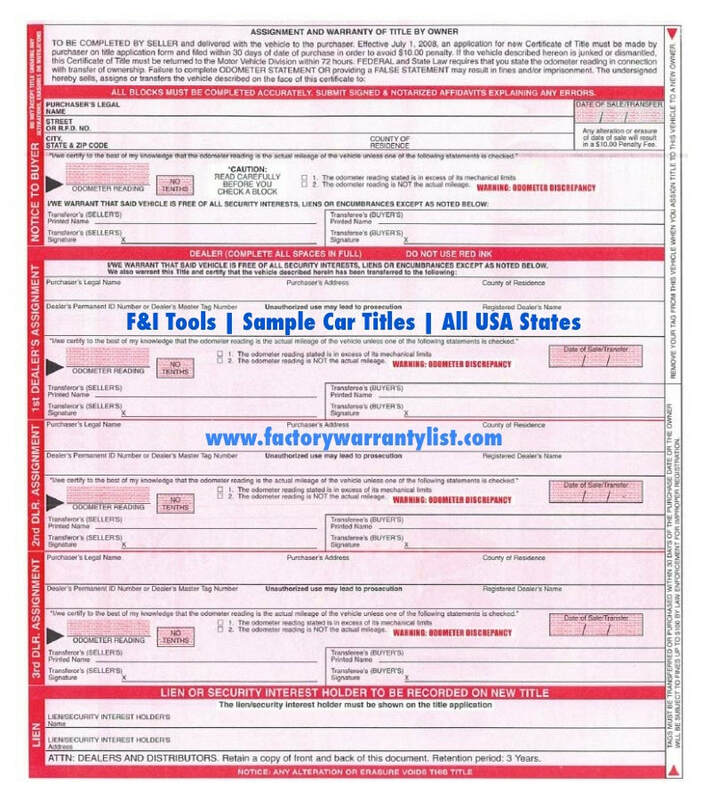 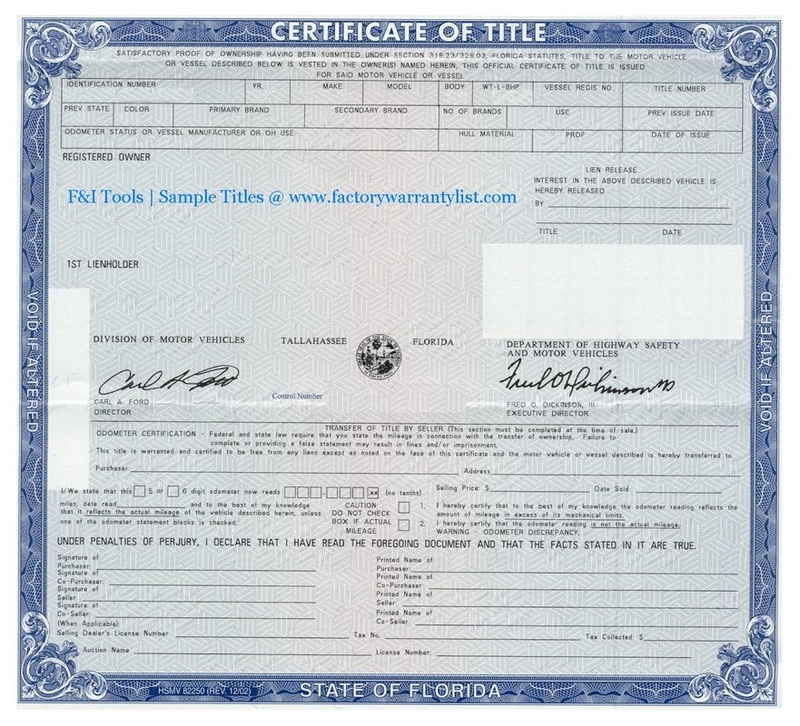 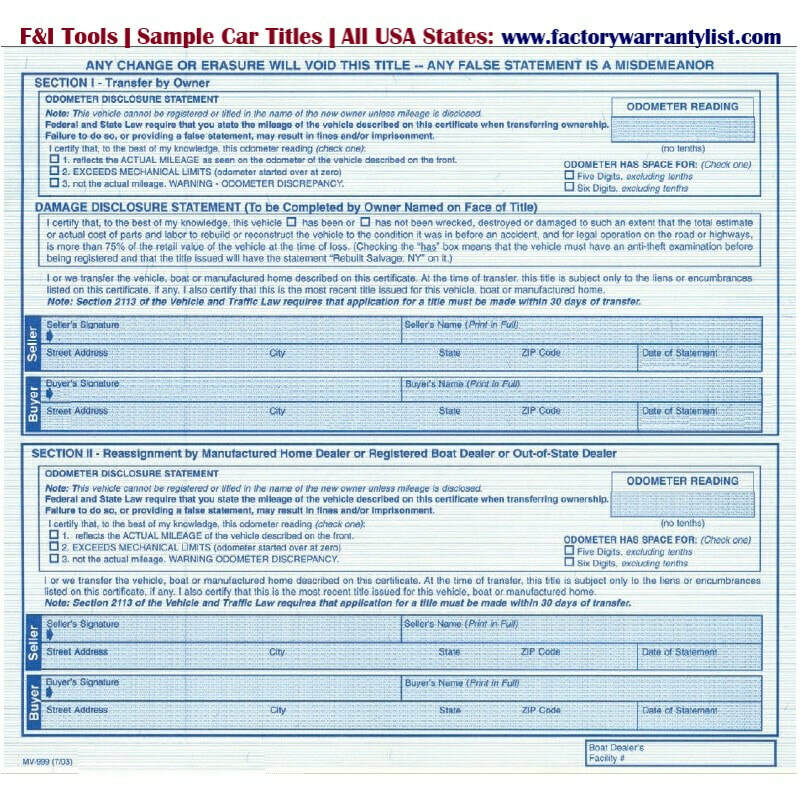 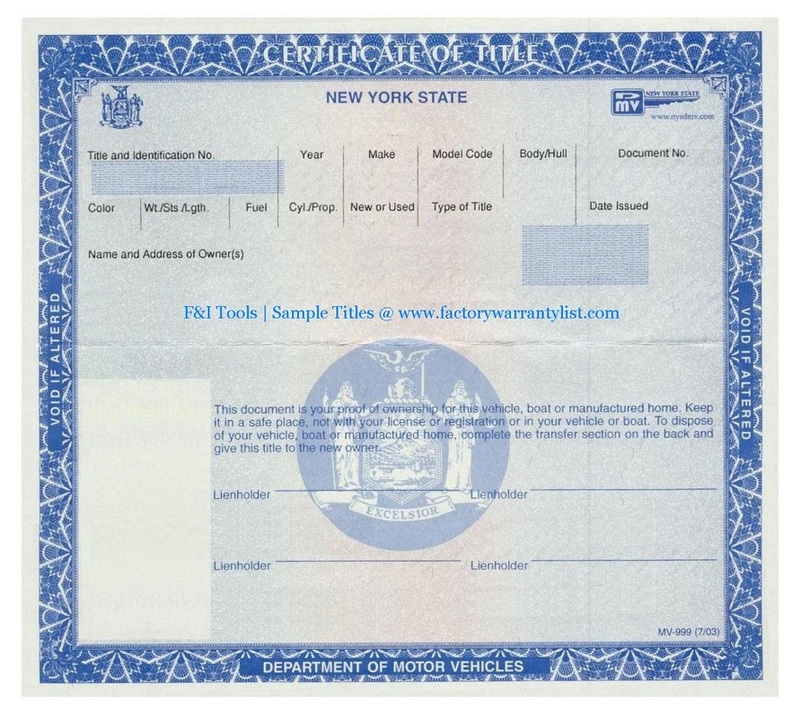 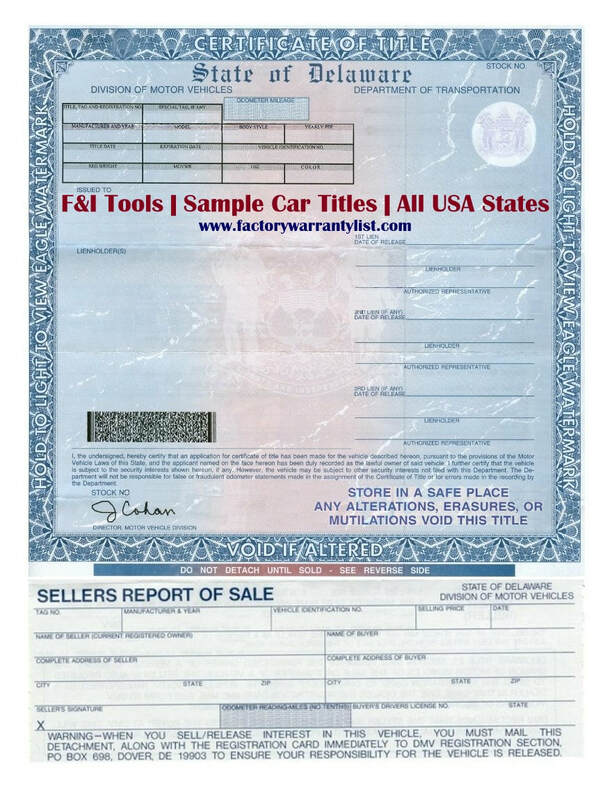 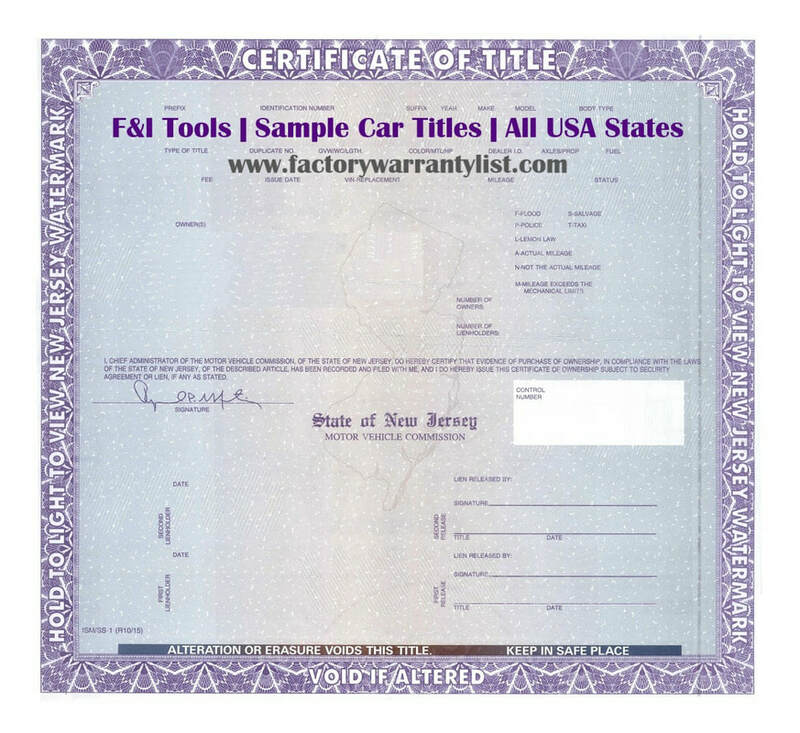 If you lost your title, a duplicate title can be obtained through the department of motor vehicles by using the F&I Tools app: Get My Lost Title. 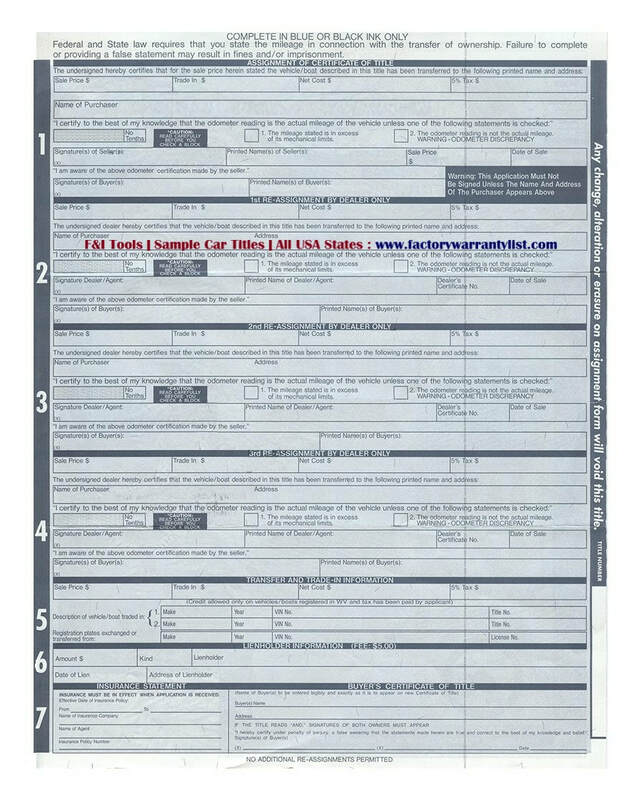 Not in the glove box! 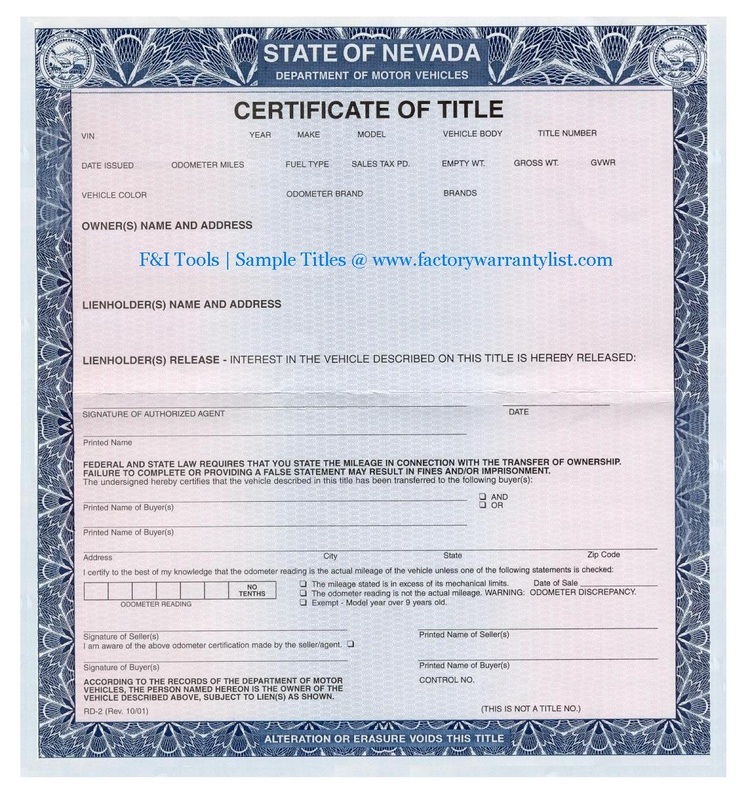 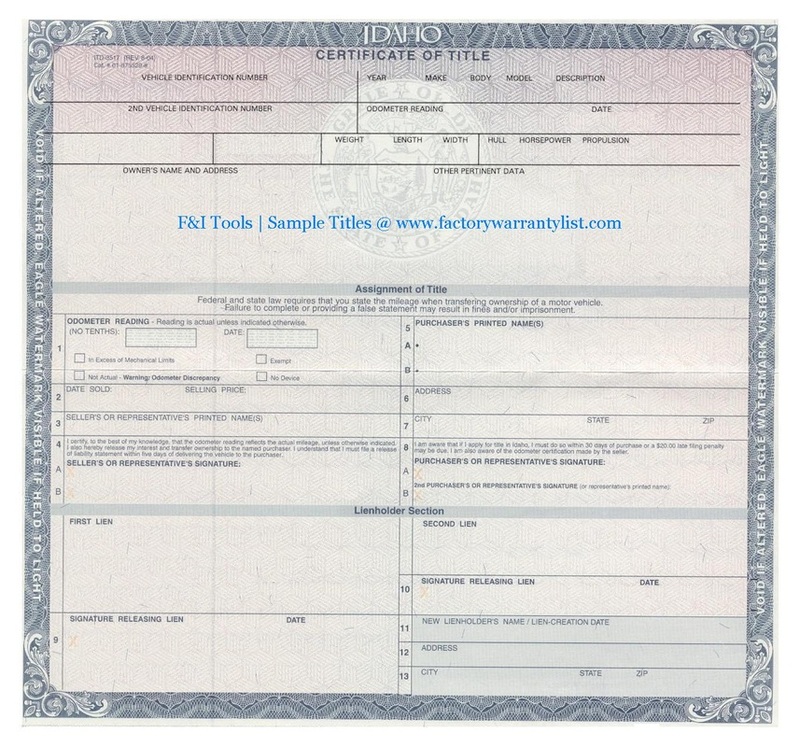 Your title comes in the mail after final payment and often includes a note to keep it in a safe place outside of your car. 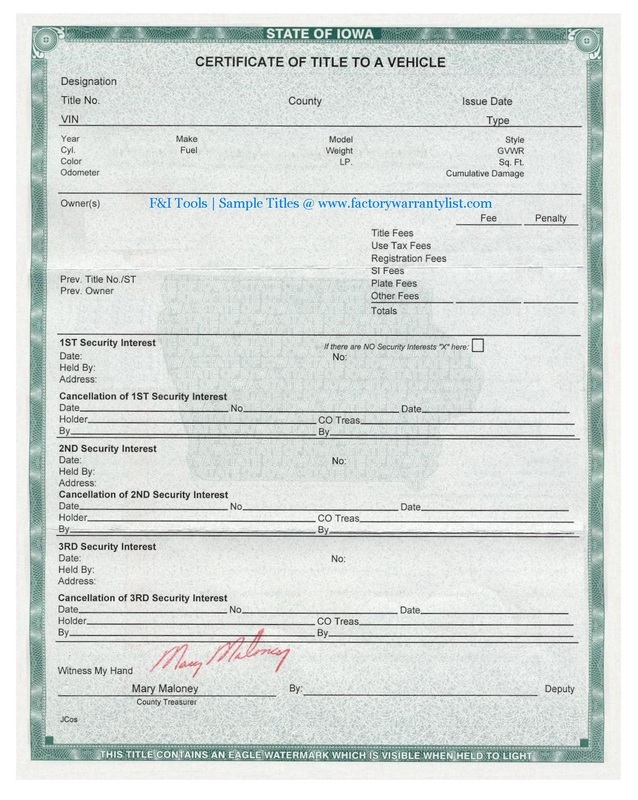 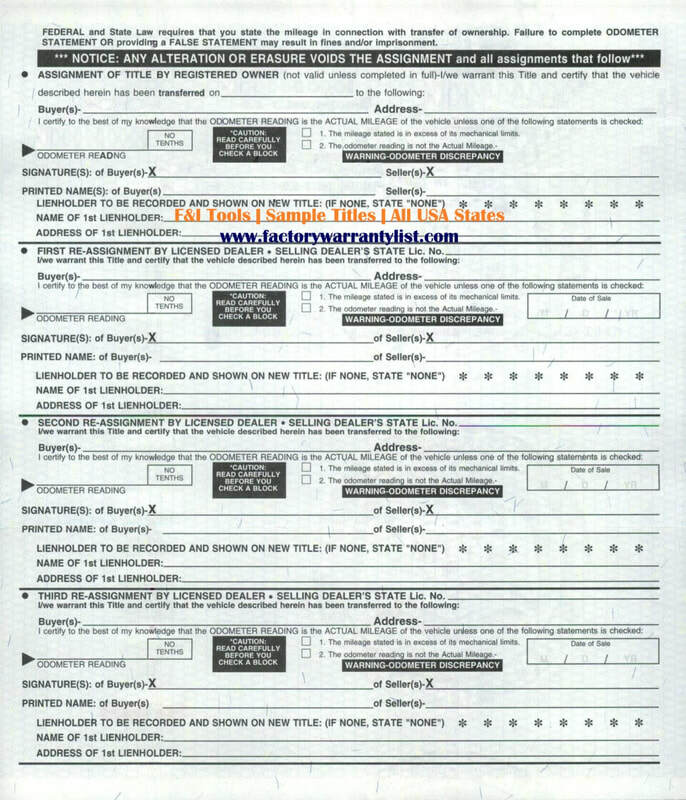 Look in your home filing cabinet or safety deposit box. 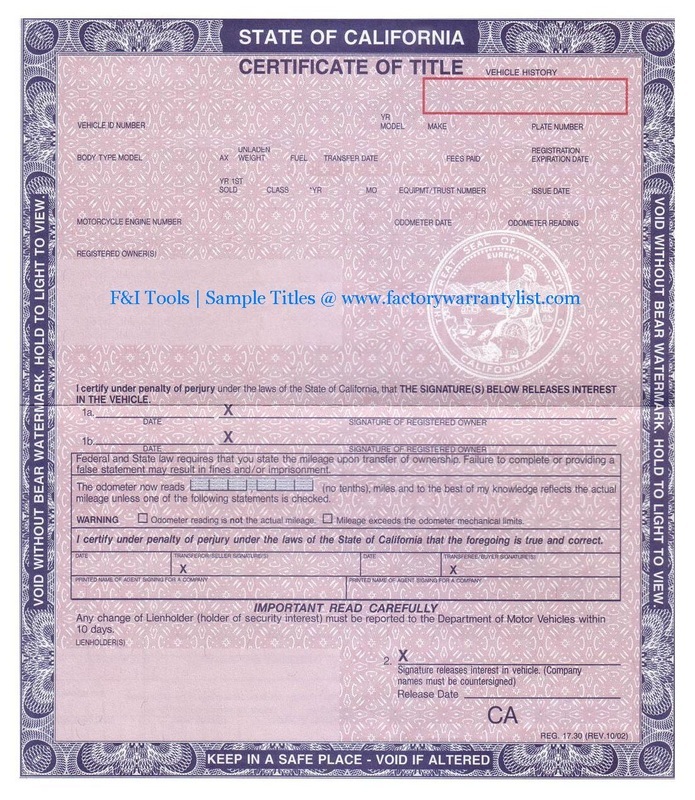 Remember that your title is mailed to the address on record, so if you moved or listed your parents address then the title might be there. 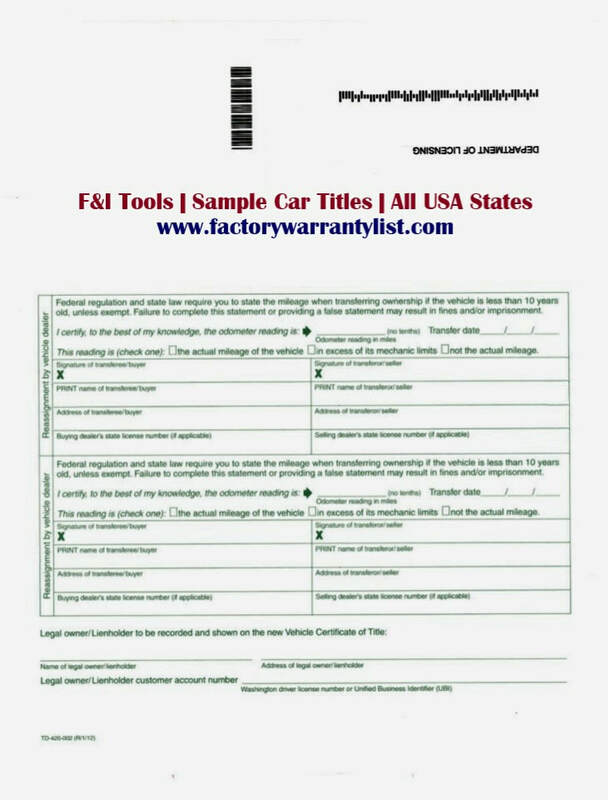 What does the back of a car title look like?